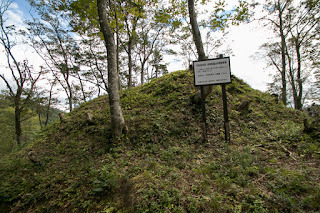 Hida Kojima castle (飛騨小島城) is located on Shiroyama mountain, which is a spear-head like mountain which is formed by Miya-kawa river and its tributary Oe-gawa river at the north of current Sugisaki station. 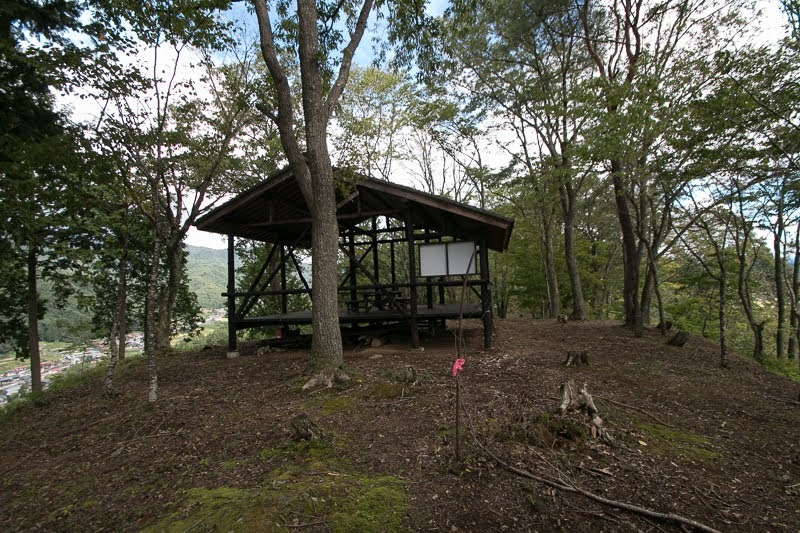 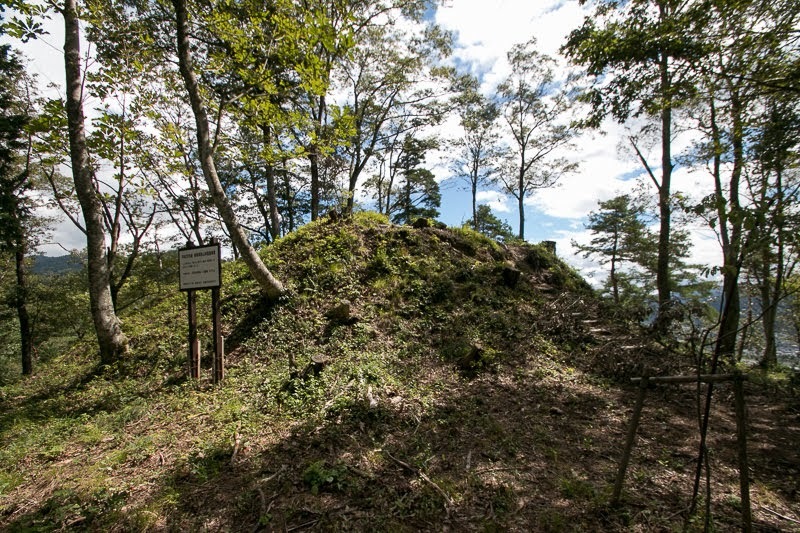 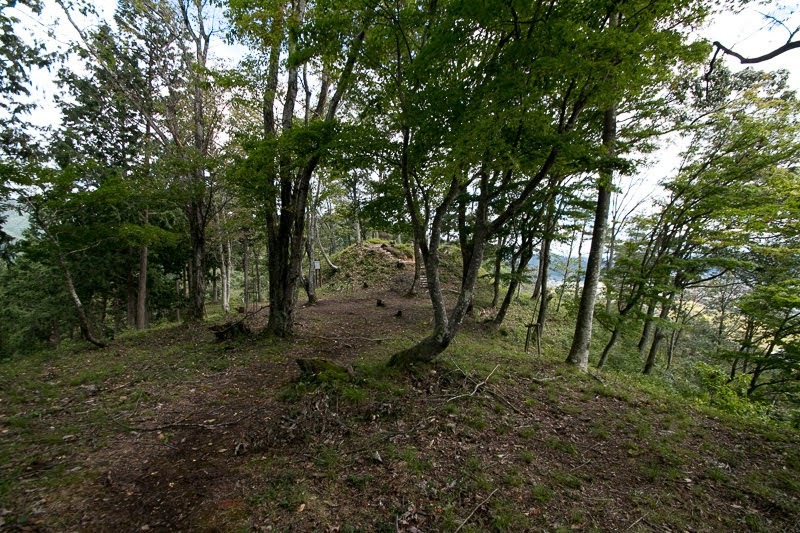 Castle site is at one-third of Furukawa basin which prolongs about 10 kilometer along with Miya-kawa-river, at the next of Takayama basin. Historically Furukawa basin and Takayama basin had been the center of Hida province (northeastern part of Gifu prefecture). 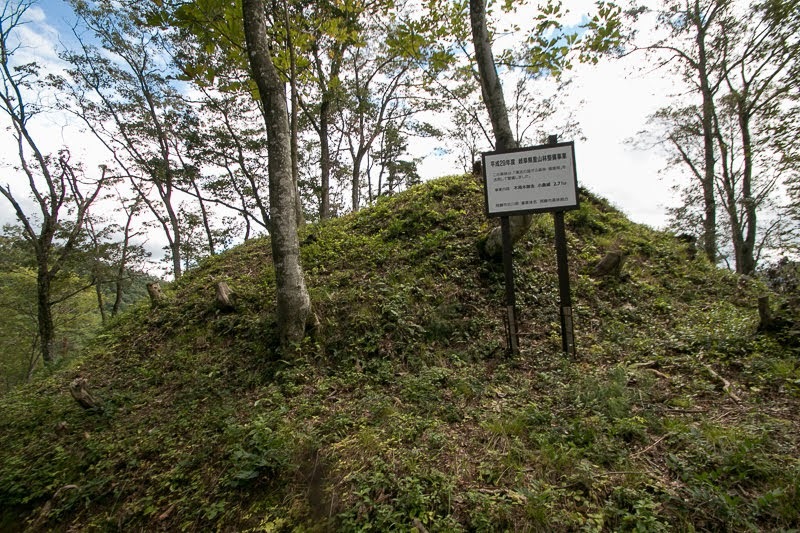 Even though a bit smaller but utilizing flat and stable ground rice production of Furukawa basin is larger than Takayama basin thus first administrative office of ancient dynasty was placed on Furukawa basin. 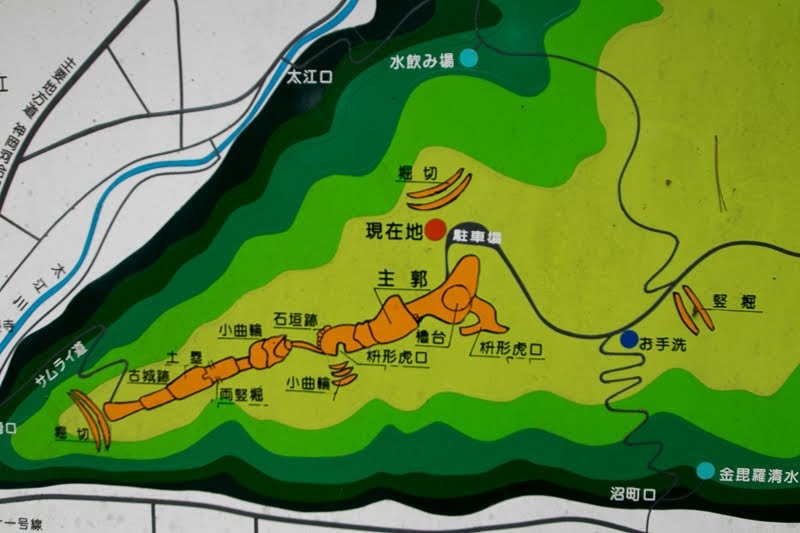 However, in Kamakura era, center of the province moved to Takayama basin which is closer to the center of the province and connected by many roads. 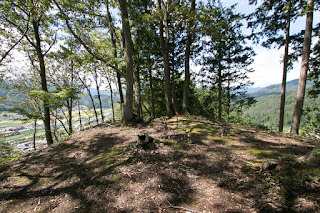 Precise year is unknown but Hida Kojima castle might be built by local lord Anegakoji clan in 14th century. 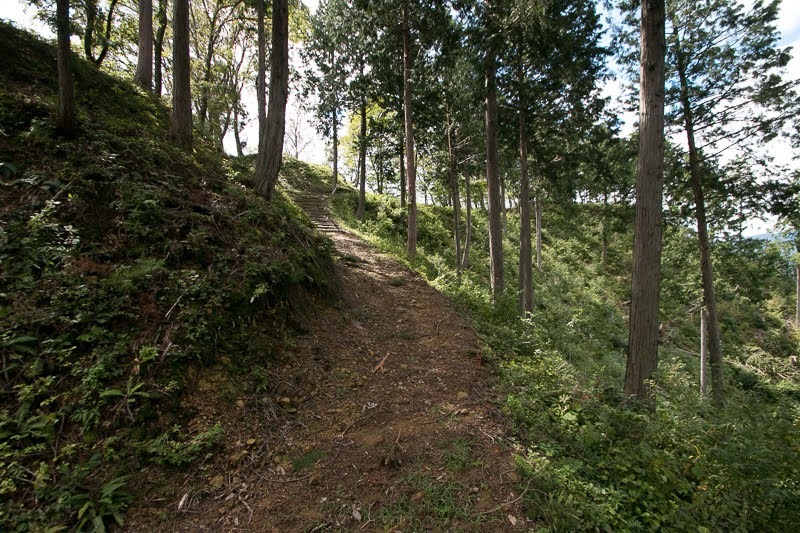 Anegakoji clan was originally a tributary of Fujiwara clan, which monopolized important position of the government as marital relative of the Imperial Household and prospered at the time of Michinaga Fujiwara (966-1028). 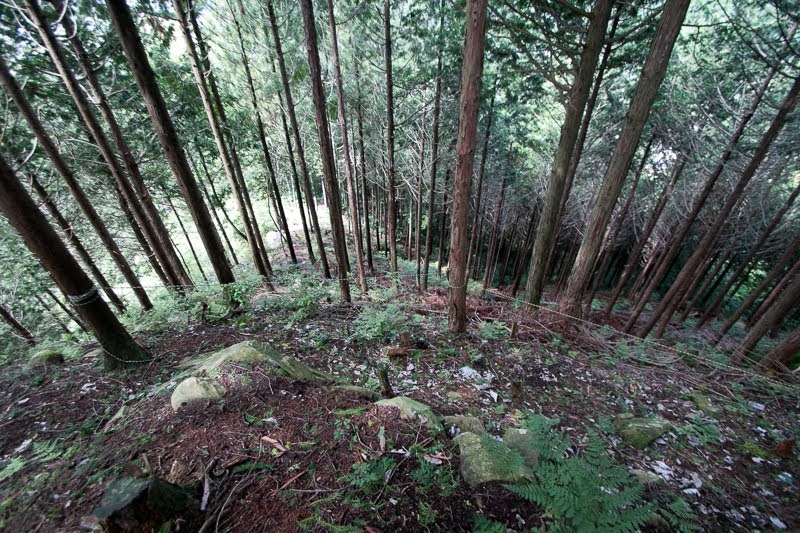 Anegakoji clan stem from Koichijo House, a major branch family of Fujiwara clan. Even though lower than its main family, but person of Koichijo House took high position of the government in 11th century. 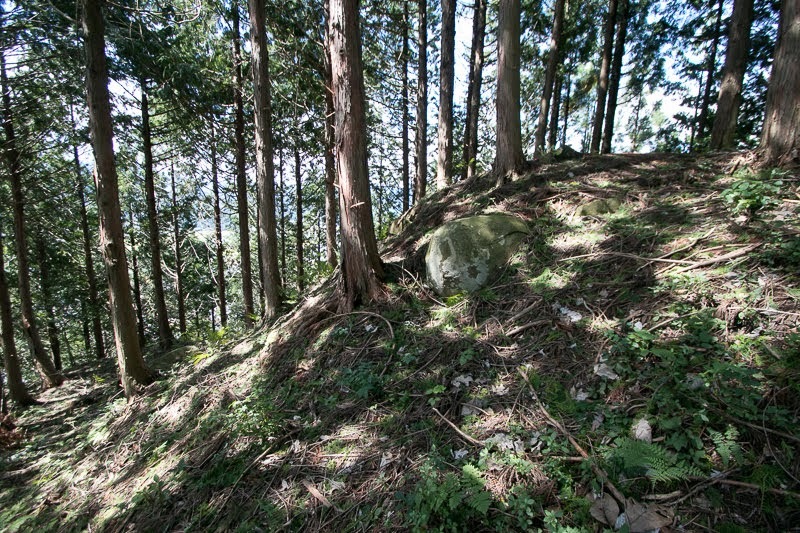 However, among the fall of central nobles and rise of samurais, Fujiwara clan lost its political power and became nominal existence under Kamakura Shogunate. 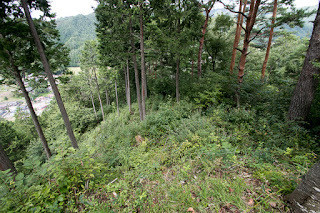 In 1333, Emperor Godaigo (1288-1339) who ruined Kamakura Shogunate being supported by its retainer Takauji Ashikaga (1305-1358), once opened his own Kenmu new government. 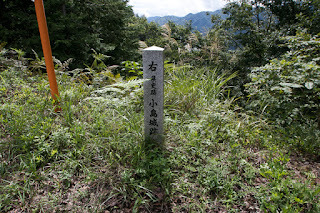 Emperor took restoration of old noble regime and appointed central nobles as governors of each province. 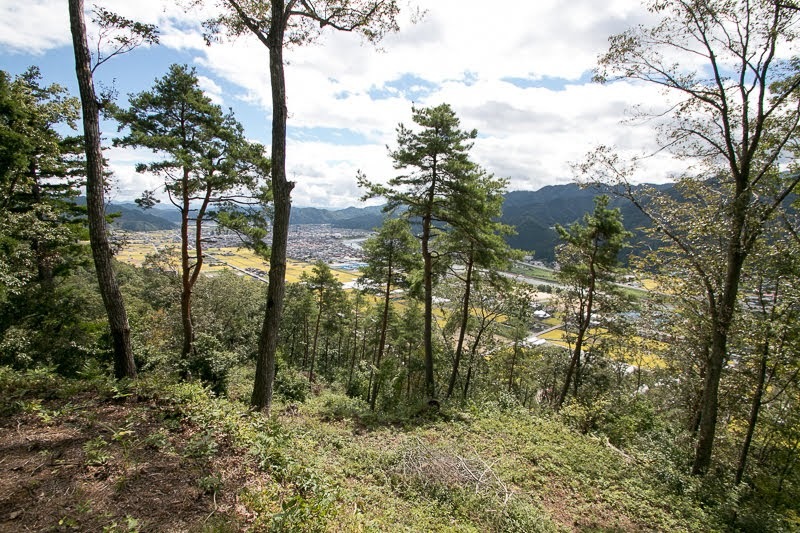 At this time Anegakoji clan was appointed as the governor of Hida province. However, dissatisfaction of samurais who contributed the ruin of Kamakura Shogunate but were not well rewarded makes the rebellion of Takauji against new government. 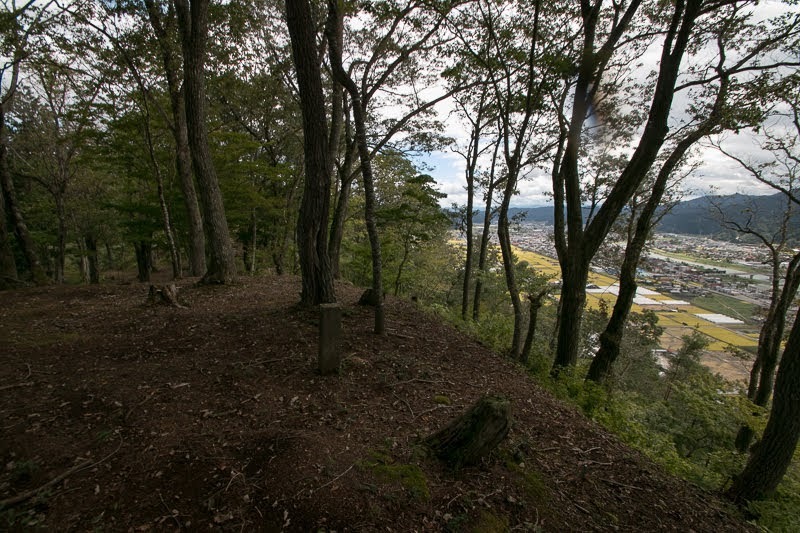 Being suffered from internal conflict and attack of Godaigo side army such as Yoshisada Nitta (1301-1338) or Akiie Kitabatake (1318-1338), Takauji finally captured Kyoto city and opened his own Muromachi Shogunate. 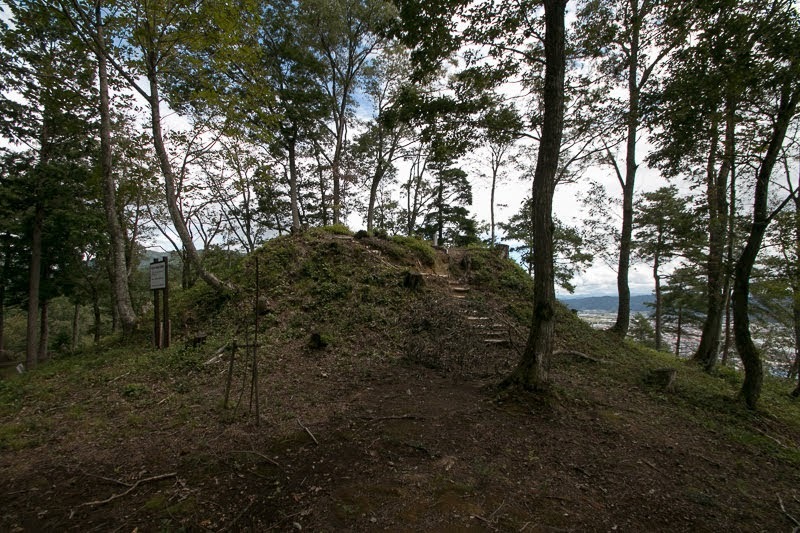 Emperor Godaigo who was pushed out from Kyoto city moved to Yoshino area of Yamato province (Nara prefecture) and opened the South Court confronting to the North Court at Kyoto city which was supported by Muromachi Shogunate, but their power was generally inferior to Muromachi Shogunate. In each province, the situation was same and it was generally kept by Muromachi Shogunate army except for Tohoku area and Kyushu area, and governors appointed by Emperor Godaigo soon disappeared because of the lack of military power and support from central government. 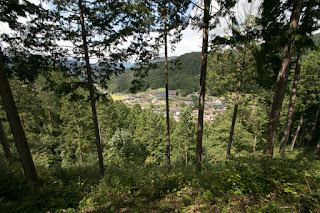 However, in Ise province (Mie province) and Hida province, central noble appointed by Emperor Godaigo remained as governors. 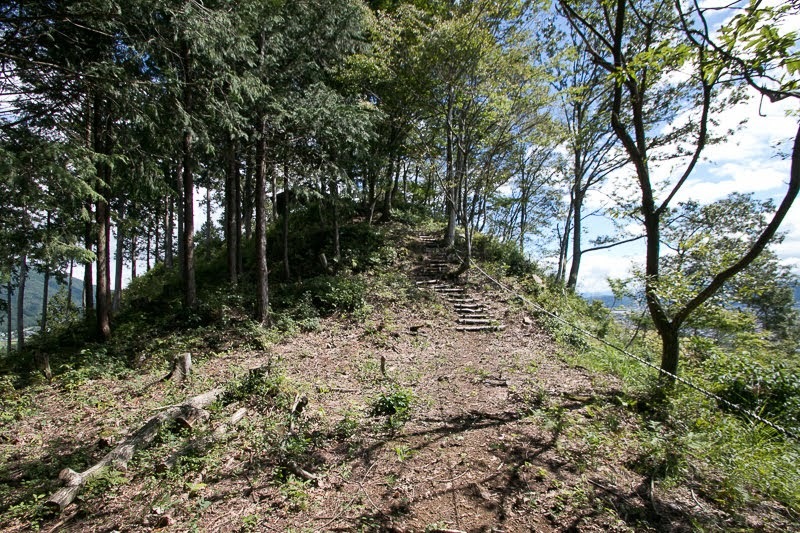 In Ise province, it was close to Yoshino area which was the main base of the South Court, and its governor Kitabatake clan was the core of military power of the South Court in spite of its noble origin thus could survived as the governor under the pressure from Muromachi Shogunate. 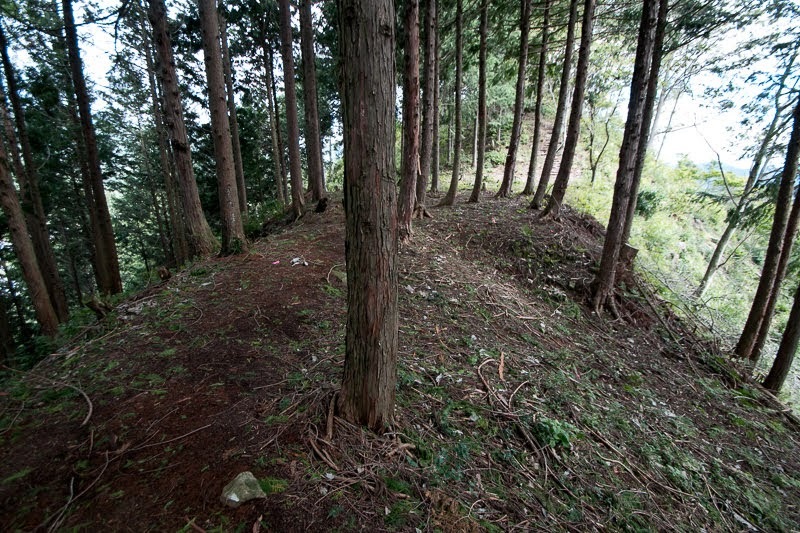 Contrary to this, Anegakoji clan did not have military power to cope with local samurais. 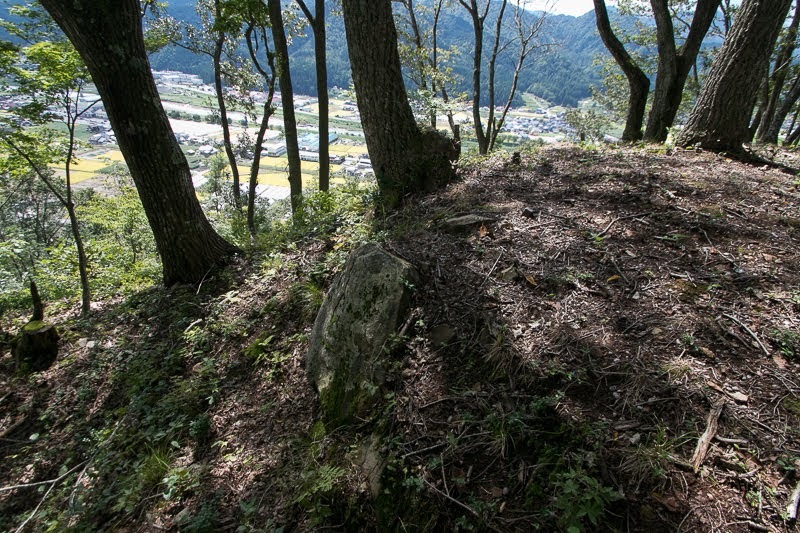 But because of its distant place and low agricultural production, Muromachi Shogunate and surrounding lords did not have interest in the province. 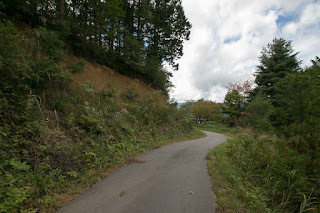 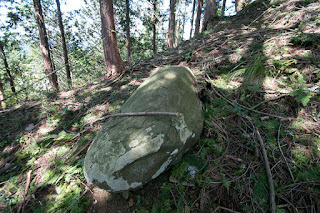 And production of the province such as woods or minerals were traded with central areas, thus connection of Anegakoji clan to Kyoto city was useful for the province. Later in the latter half of 15th century, Ichijo clan which was a high class noble of Kyoto city left the turbulence of the battle of Onin occurred at Kyoto city and moved to their manor Nakamura area of Tosa province (Kochi prefecture). 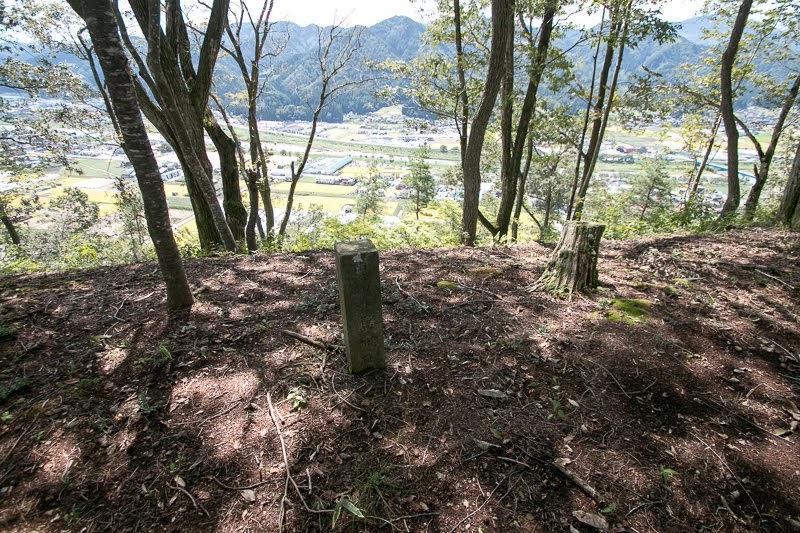 These Kitabatake clan, Anegakoji clan and Ichijo clan were regarded as three nobles which became the governor of the province. 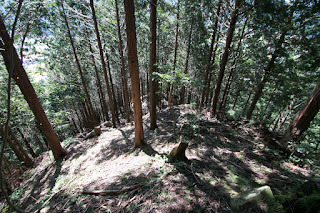 However, in the former half of 15th century, the conflict of Anegakoji clan and Kyogoku clan which was sent from Muromachi Shogunate and seized south half of Hida province became serious. Furthermore, around this time Anegakoji clan divided into three houses and separately kept Furukawa basin. 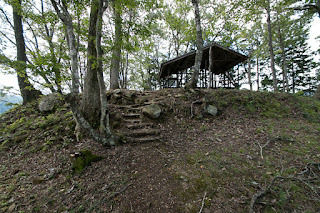 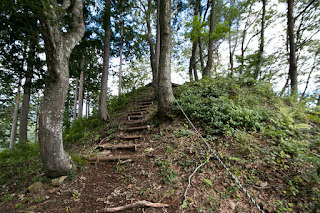 Kojima family was the lord of Kojima castle and nominal main family of the clan. 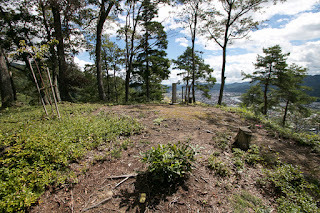 On the other hand, Furukawa family was second family but succeeded the position of governor. 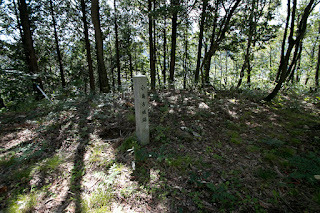 Furthermore, there was the third family named Mukai-Kojima family. 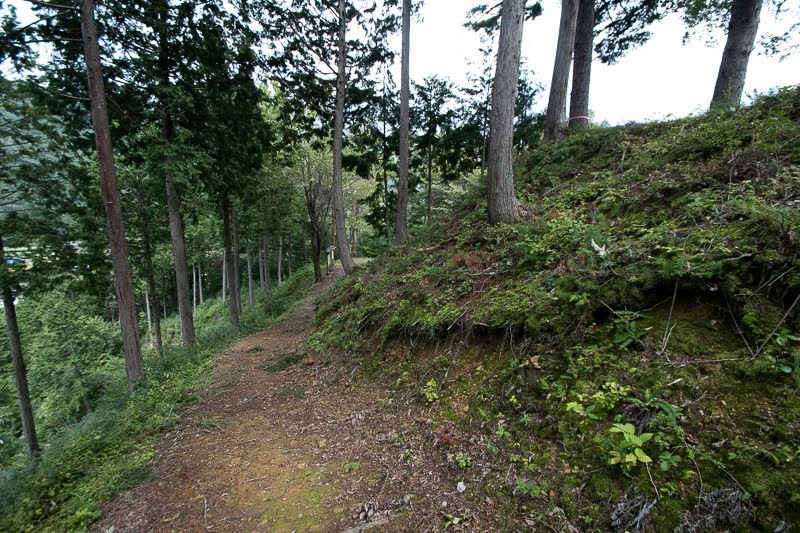 In 1411, Furukawa family raised his army and attacked other two families. 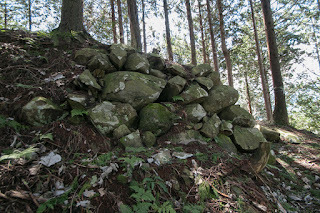 In response to this, Muromachi Shogunate sent large army to Hida province to subjugate Furukawa family thus Furukawa family was defeated and its leader died in the battle. Anegakoji clan lost its actual power and fell into local lords of the area, but still held the authority as the governor. At the end of 15th century, this time Kyogoku clan lost its power because of internal conflicts, and Anegakoji families were relatively stable situation under Mototsuna Anegakoji (1441-1504) and his son Naritsugu Anegakoji (1470-1518), who were the leaders of Furukawa family and good at culture. At this time Kojima family became second family to Furukawa family. 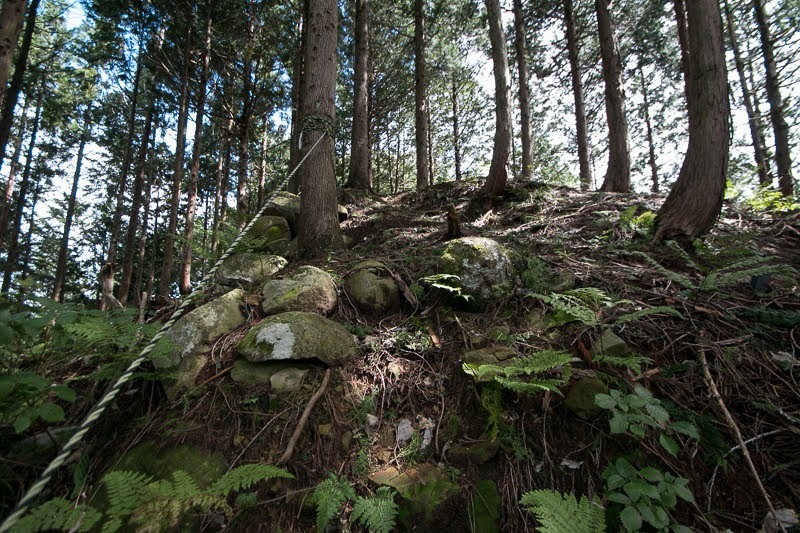 In the former half of 16th century, Mitsuki clan which was originally the retainer of Kyogoku clan and local lord of Gero area gradually grew their power beating surrounding local lords. Anegakoji clan tried to cope with Mitsuki clan or Ema clan which was the lord of Kamioka area, but lost its power by continuous internal conflict. 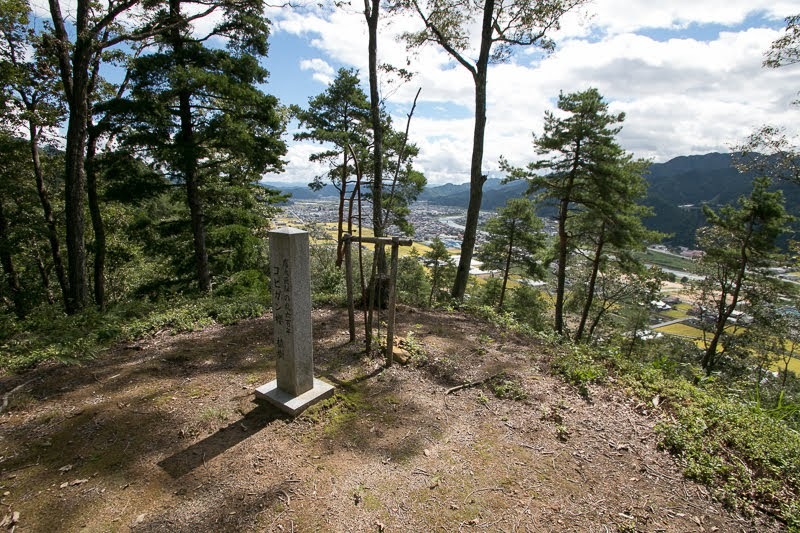 In 1556, Yoshiyori Mitsuki (1520-1572), the leader of Mitsuki clan who already captured Takayama basin, intruded into Furukawa basin and attacked three families of Anegakoji clan. 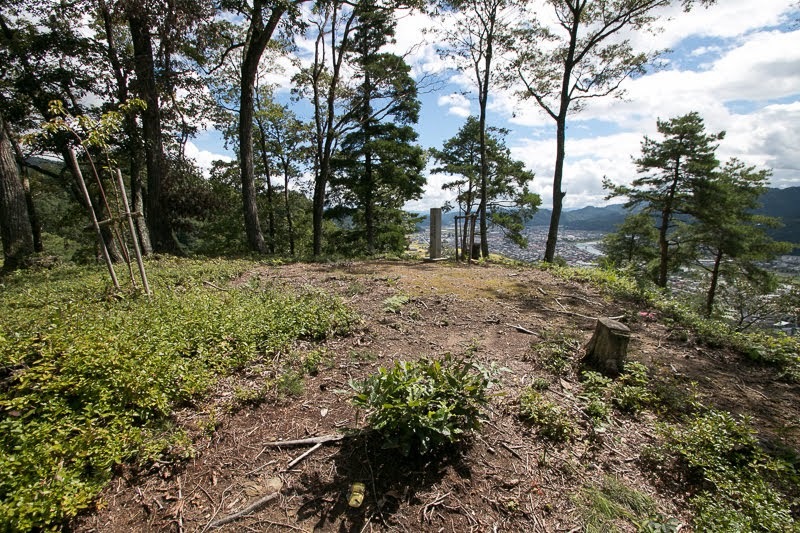 Yoshiyori took over Furukawa family and named as Anegakoji clan by donation to central nobles. 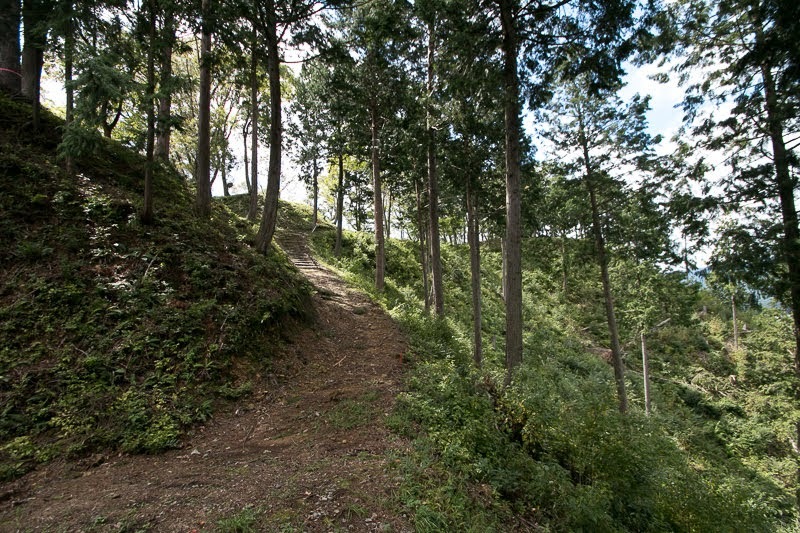 At this time Kojima family already named as Kojima clan followed to Mitsuki clan and became its important retainer as a vanguard toward Ema clan at Kamioka area. 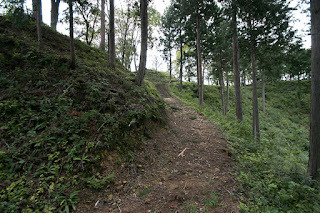 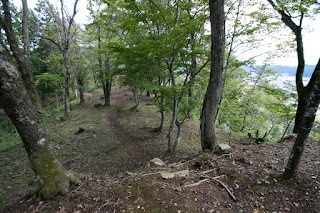 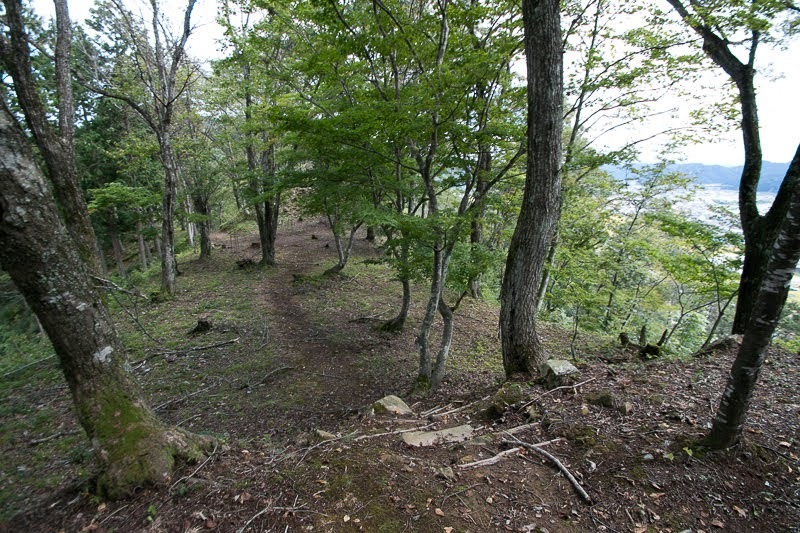 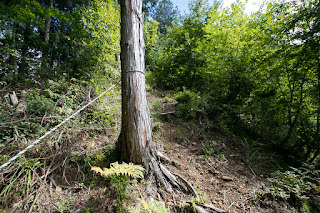 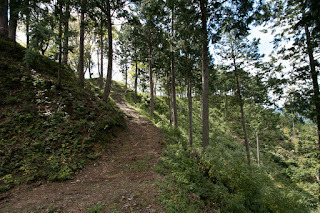 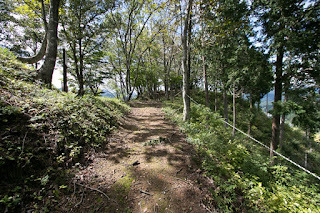 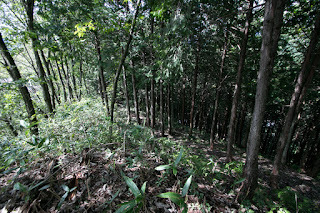 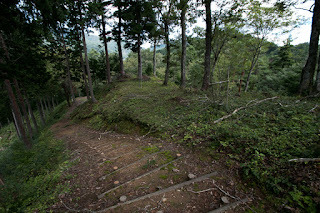 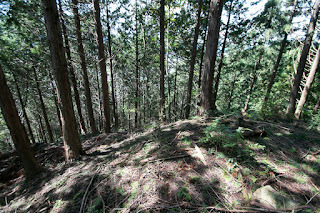 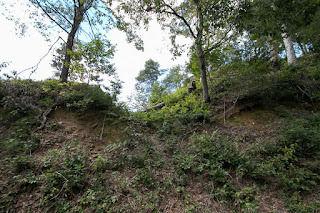 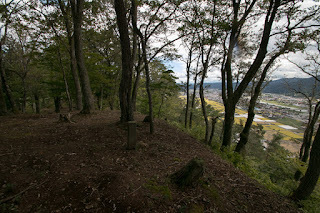 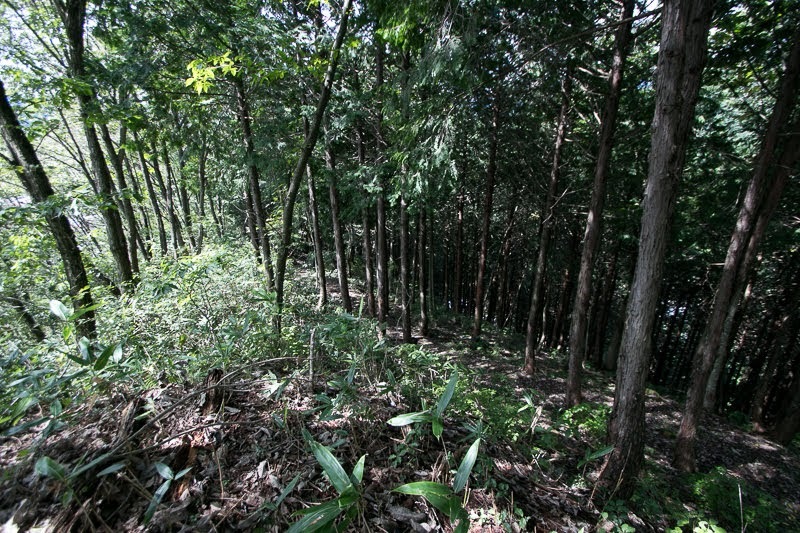 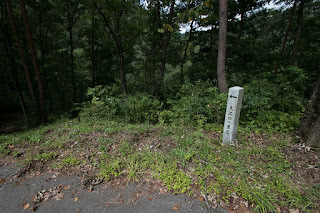 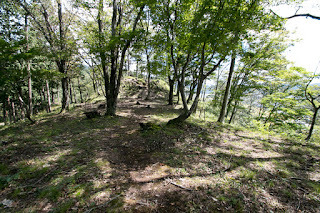 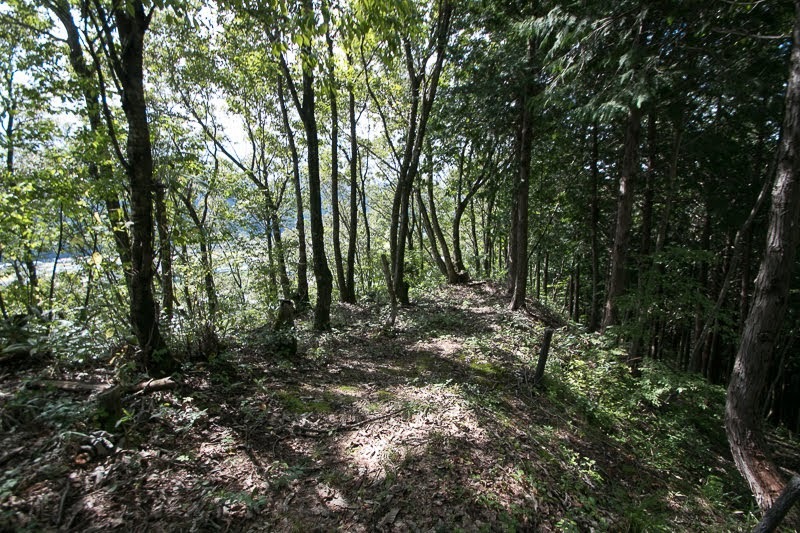 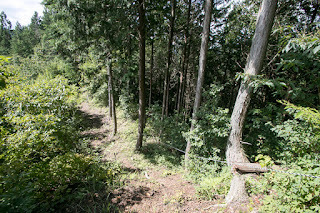 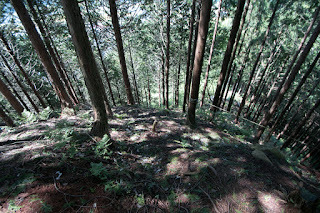 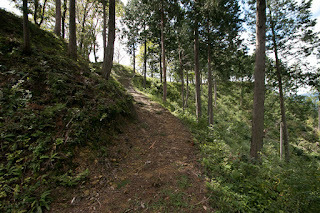 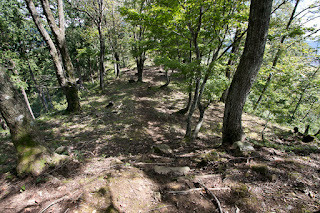 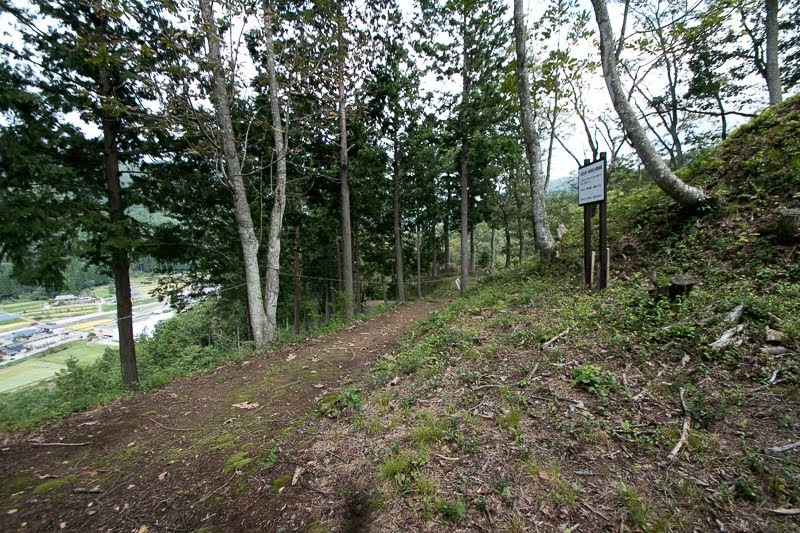 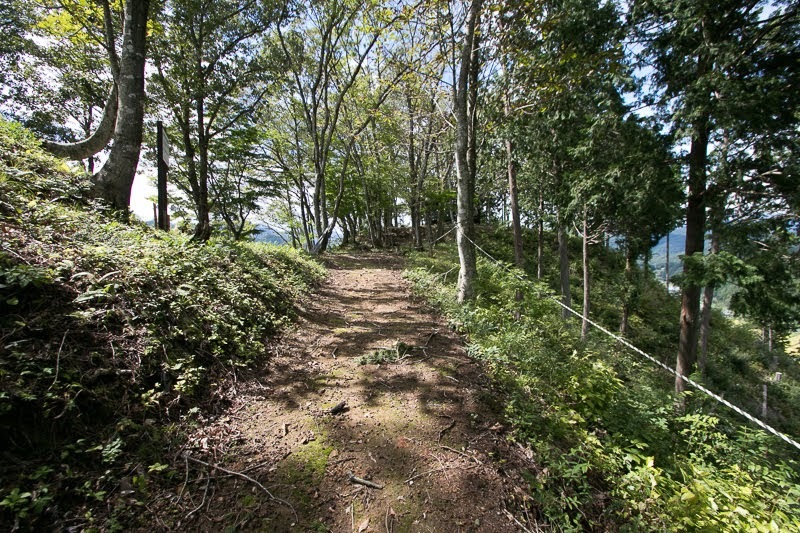 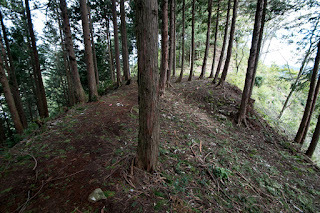 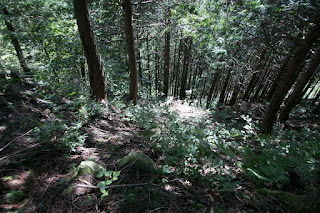 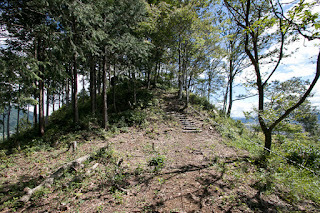 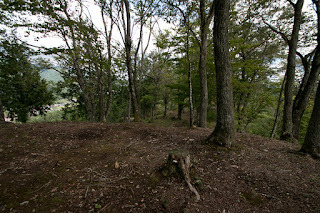 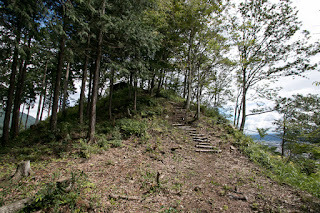 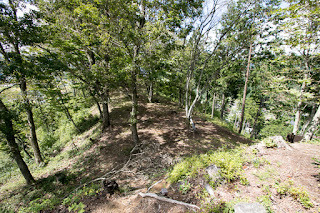 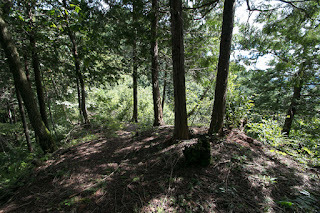 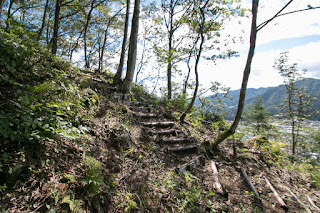 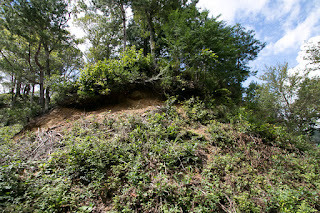 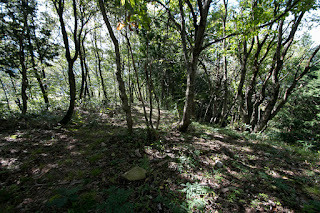 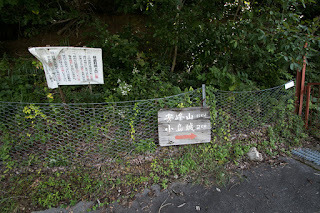 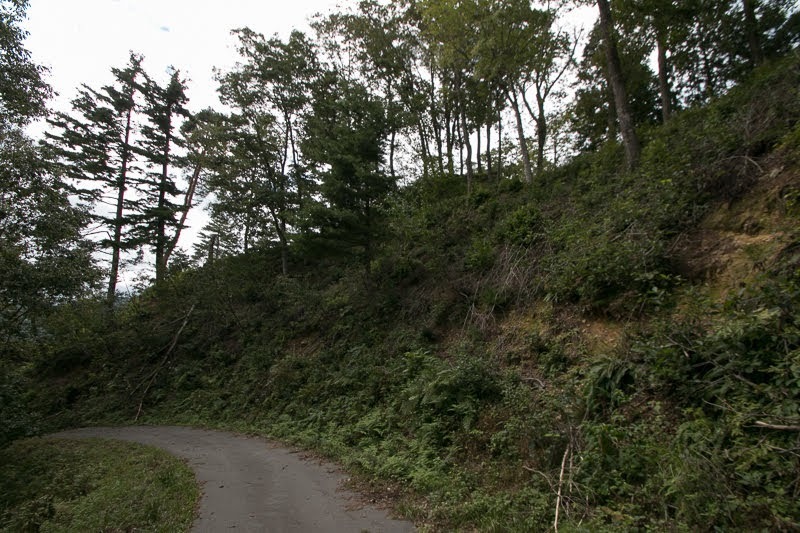 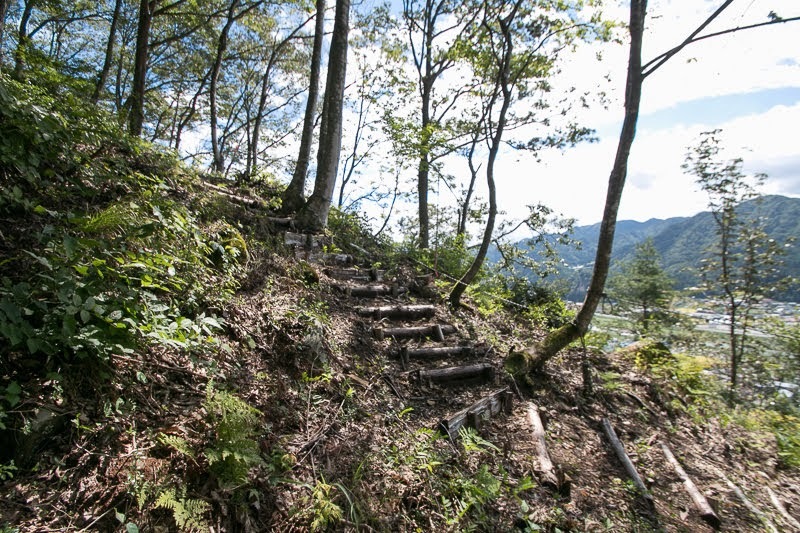 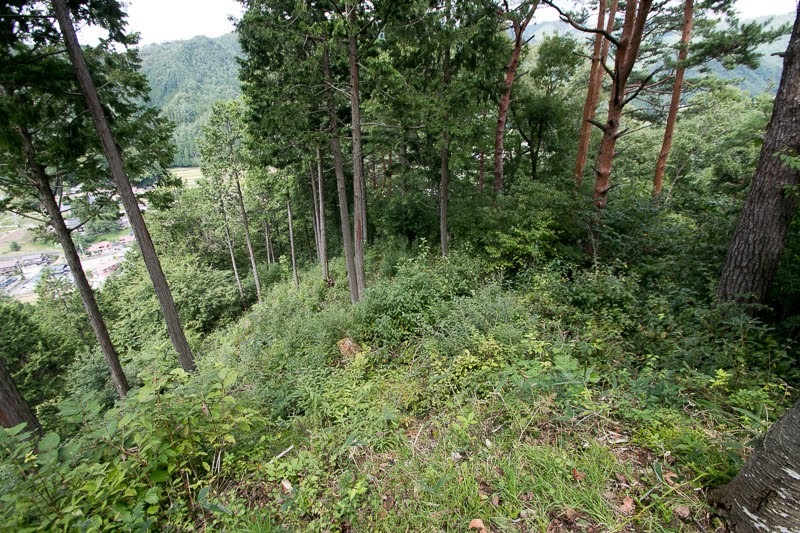 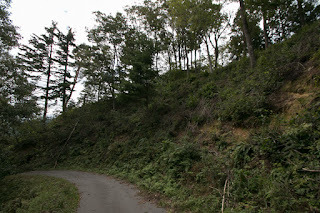 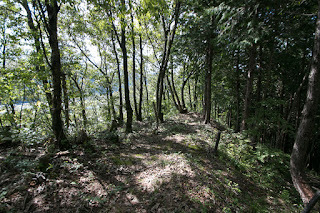 Kojima castle spreads over long and narrow ridge of Shiroyama mountain, which has sheer slope at both side. 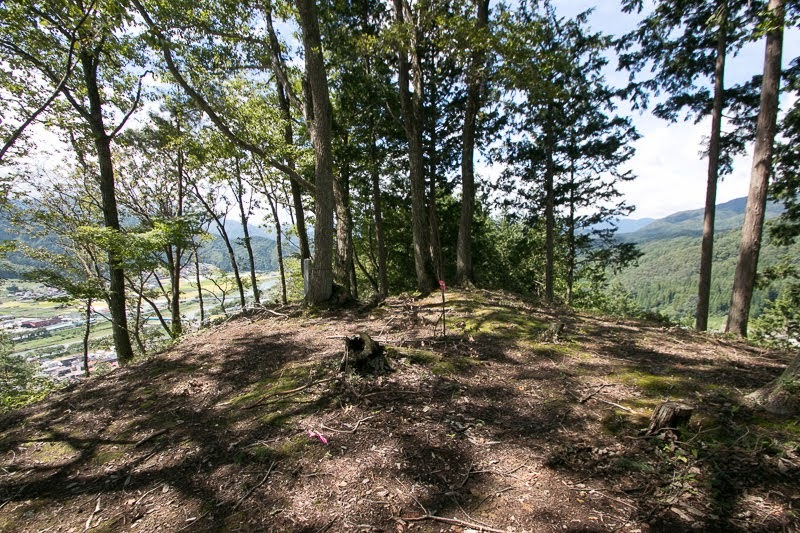 This castle is roughly separated into upper area in the eastern half which is the core part of the castle, and lower area in the western half which is an entrance area from hillside. 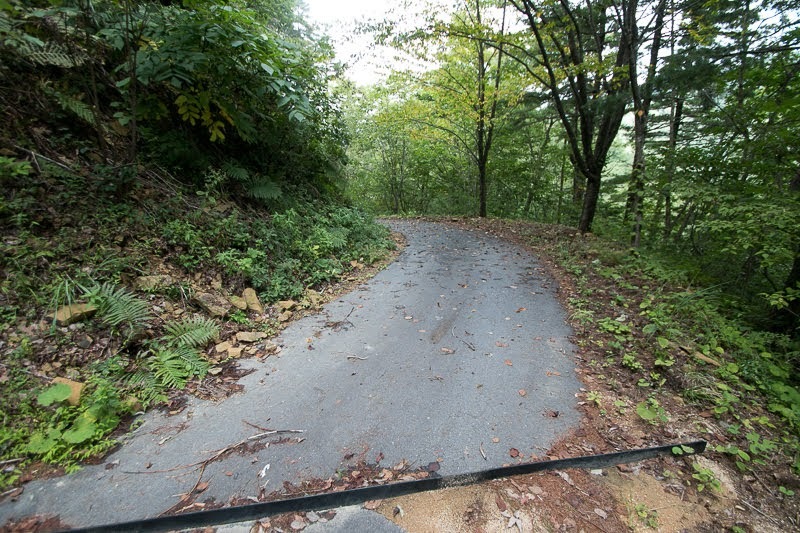 These two parts are separated by sheer slope. 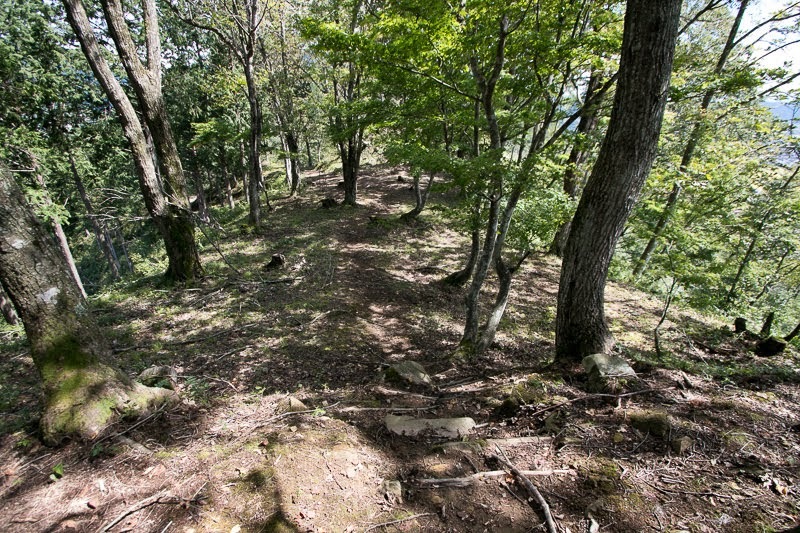 Central area of the castle is a triangle shaped one of 20 meter long at the highest point, which has low stone wall at its entrance. 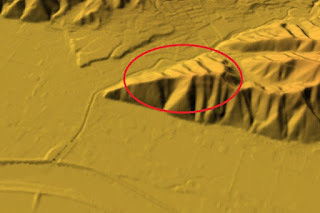 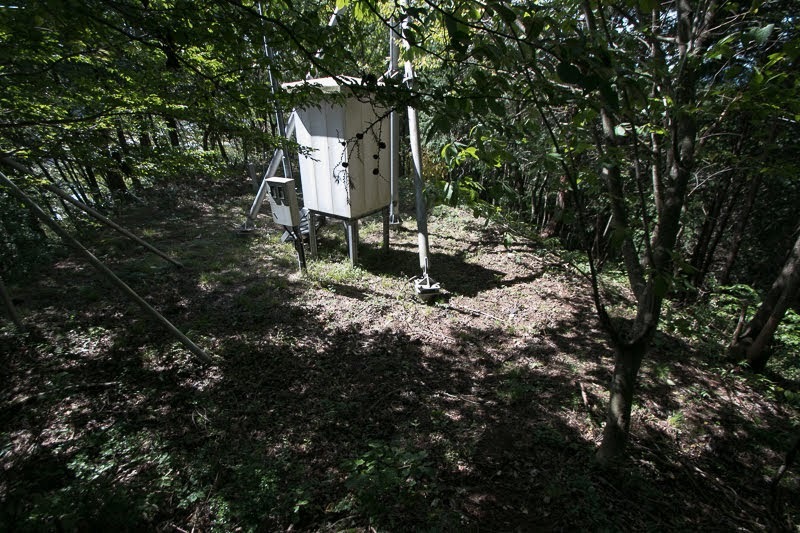 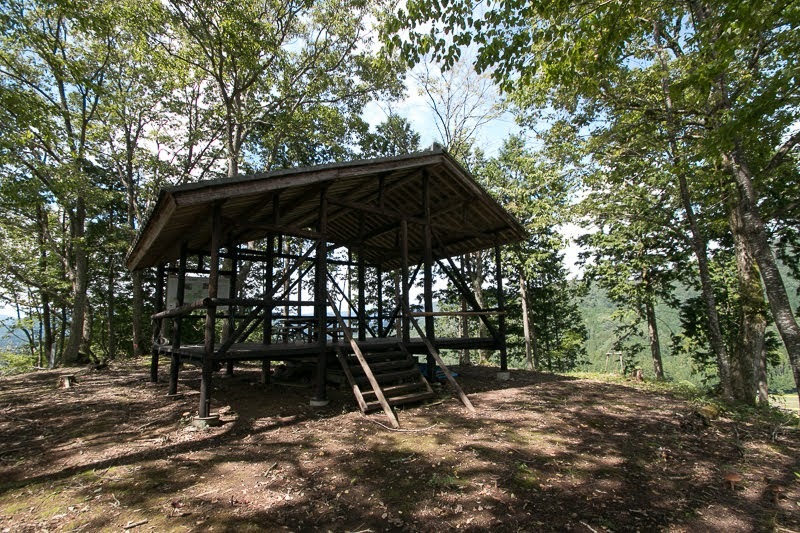 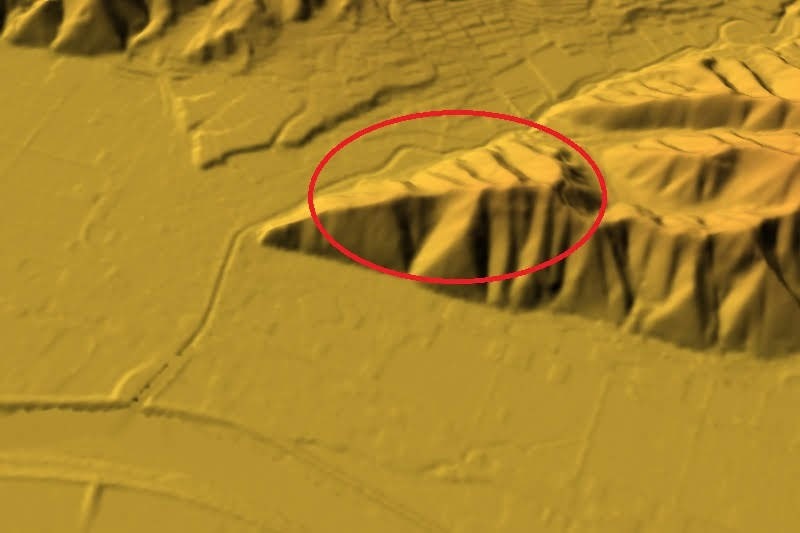 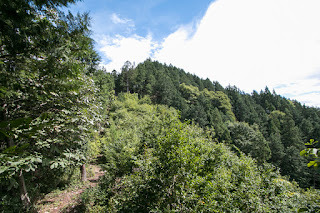 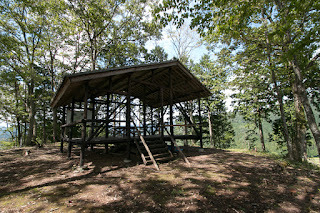 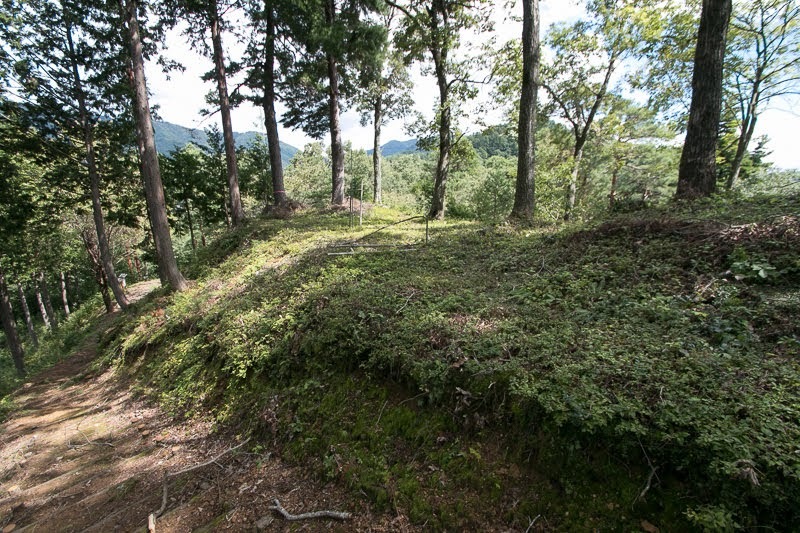 As eastward of central area is connected to backside mountains, secondary area of over 50 meter long with watchtower basement prepares for the attack from backward. 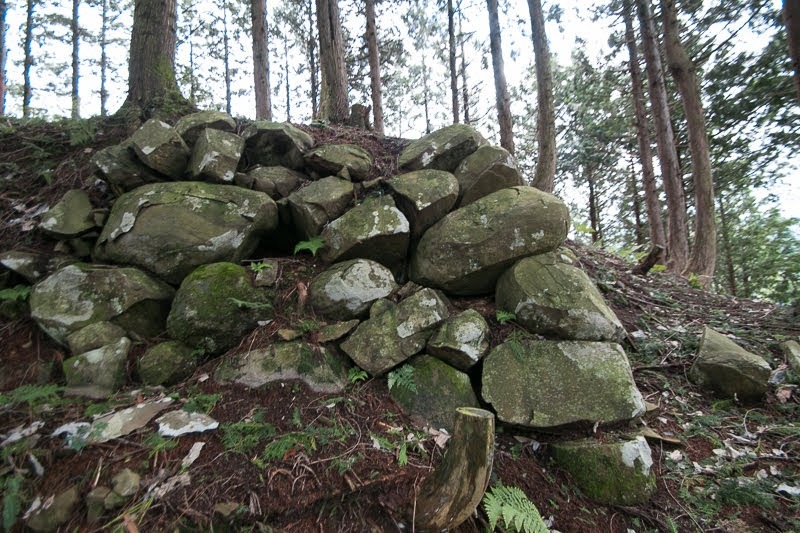 At the west of central area, there is third area which has Masugata style folded gate protected by large stone walls later added. 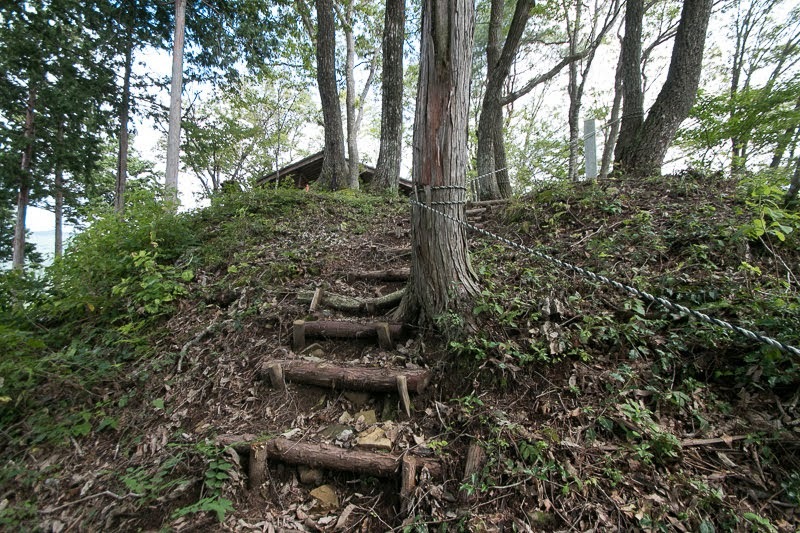 Lower part of the castle keeps original style of Kojima clan which is separated into small compartment. But at the middle of the area there is a clear defense line of clay wall which might be also added later. 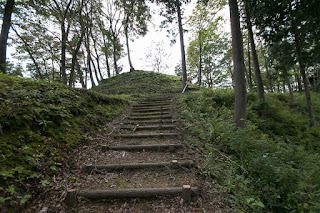 Total length of the castle is over 400 meter, and is matching as a main base of major family of Anegakoji clan. 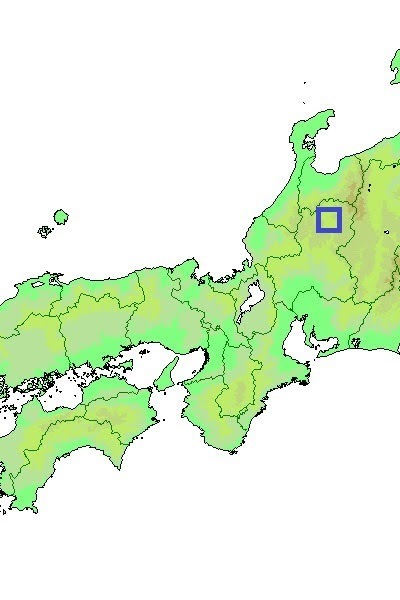 In the latter half of 16th century, Hida province was strongly affected by neighbor strong warlords such as Takeda clan of Kai province (Yamanashi prefecture), Uesugi clan of Echigo province (Niigata prefecture) or Oda clan of Owari province (western half of Aichi prefecture). Local lords such as Anegakoji clan or Ema clan tried to survive changing their masters. 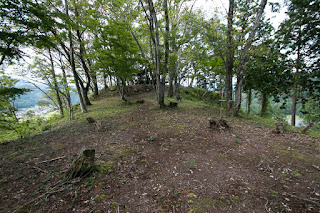 Among such situation, Yoritsuna Anegakoji (154?1587) who followed to central ruler Nobunaga Oda (1534-1582) and built Hida Matsukura castle (Gifu prefecture) gradually grew their power. 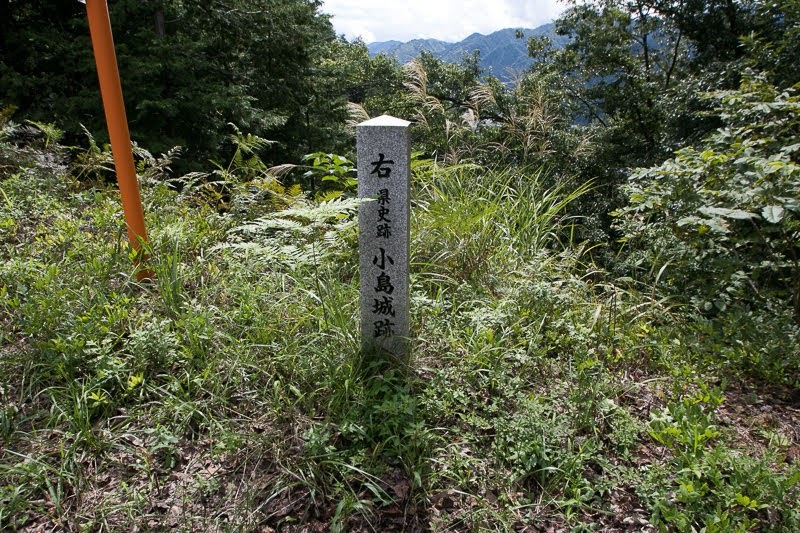 In 1582, after the sudden death of Nobunaga in the incident of Honnoji, remaining Ema clan raised its army to break Anegakoji clan which lost supporter. 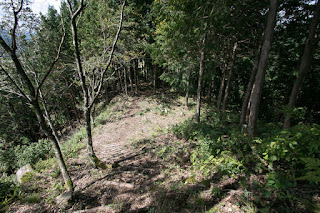 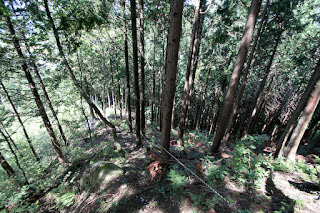 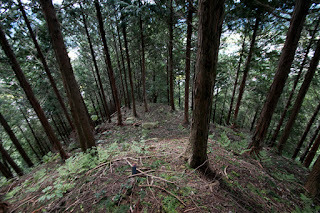 Ema army crossed the mountain and made sudden attack to Kojima castle. 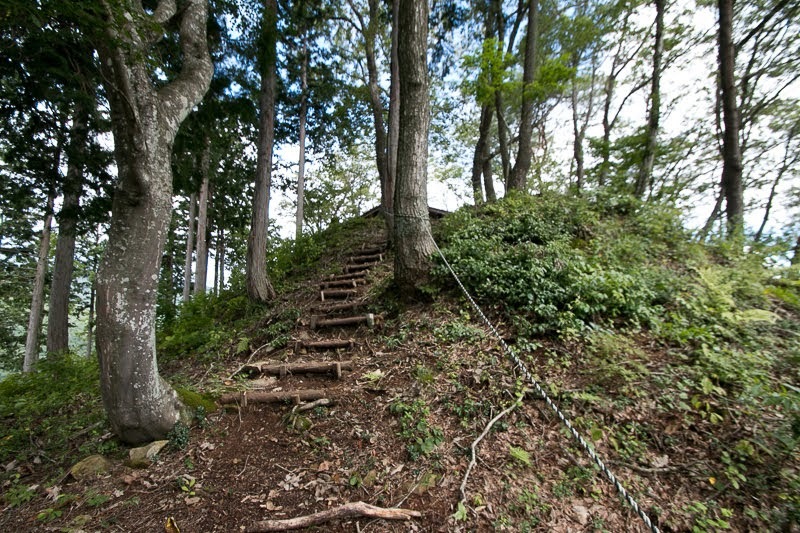 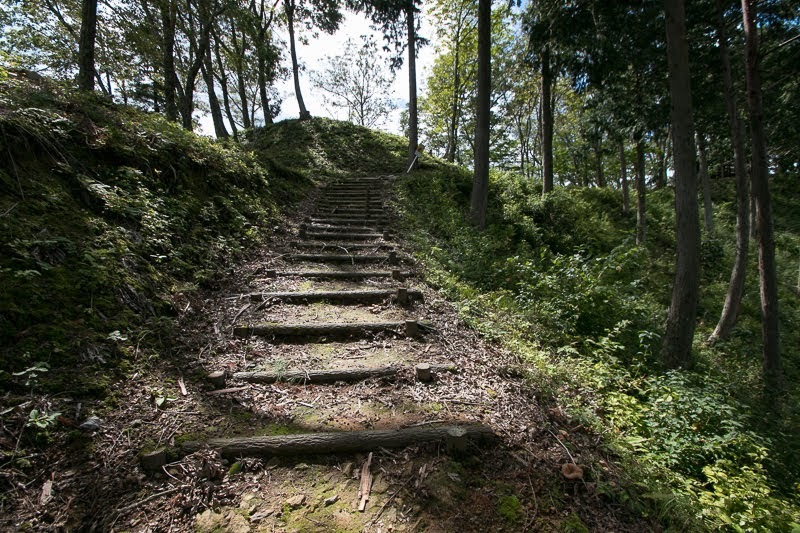 However, because of the shortage of soldiers, Ema army could not fall Kojima castle. Retreating Ema army was chased by Anegakoji army and suffered severe defeat in the battle of Yokaichi, and the leader of Ema clan died in the battle. 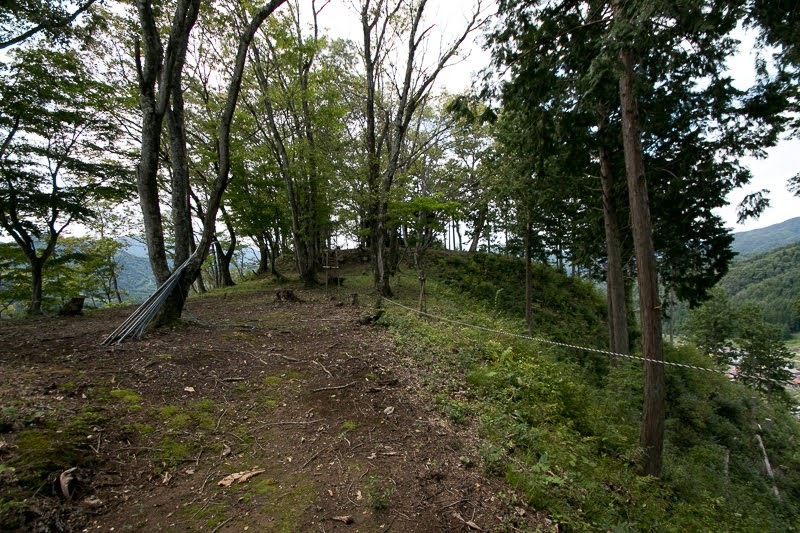 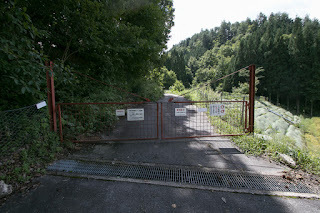 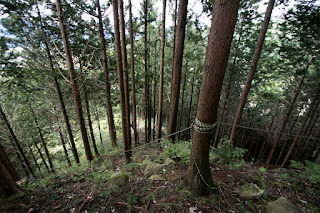 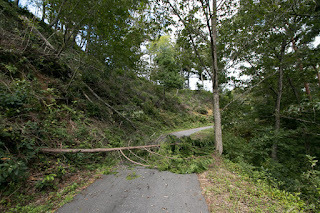 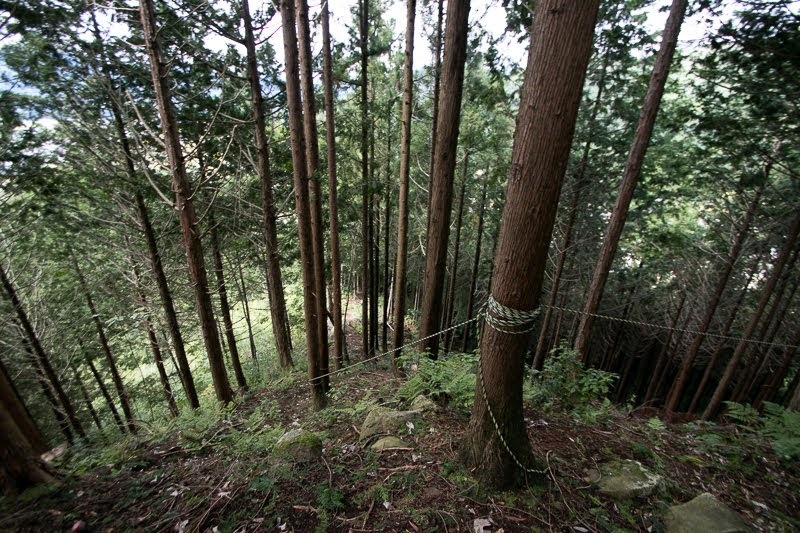 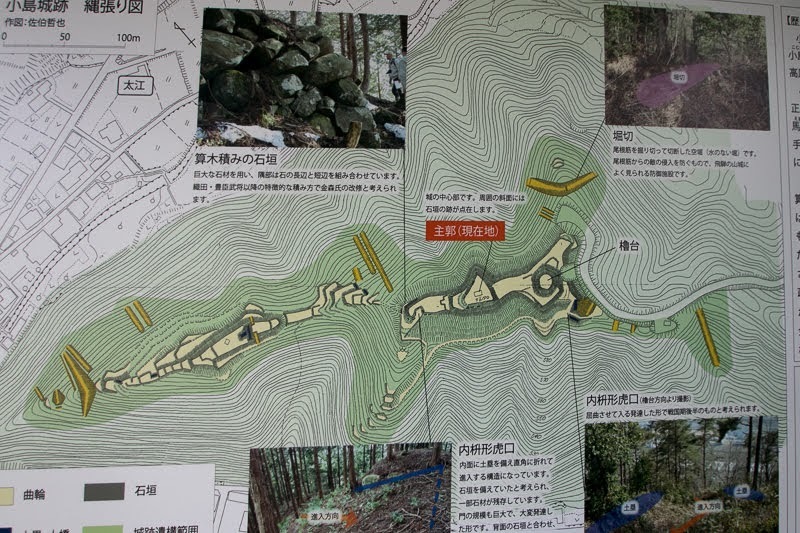 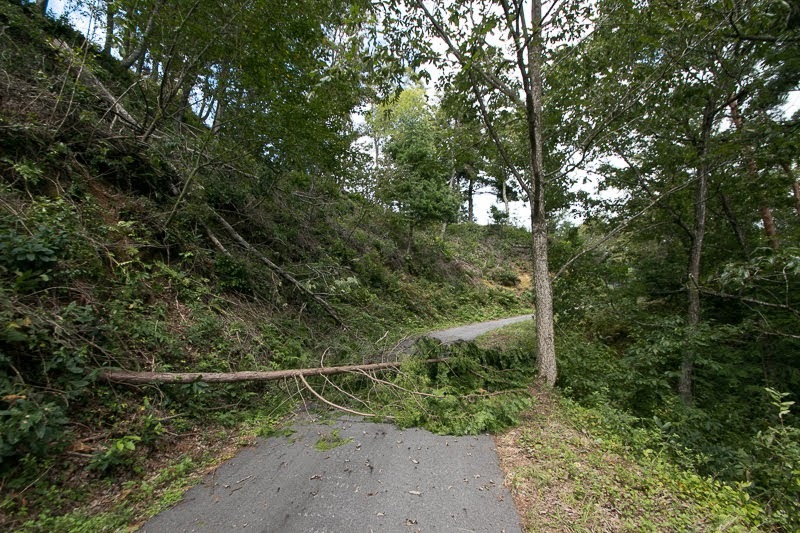 Kojima clan chased Ema army to its main base Takahara Suwa castle (Gifu prefecture) and fell it. Now Hida province was united by Anegakoji clan after long battles. 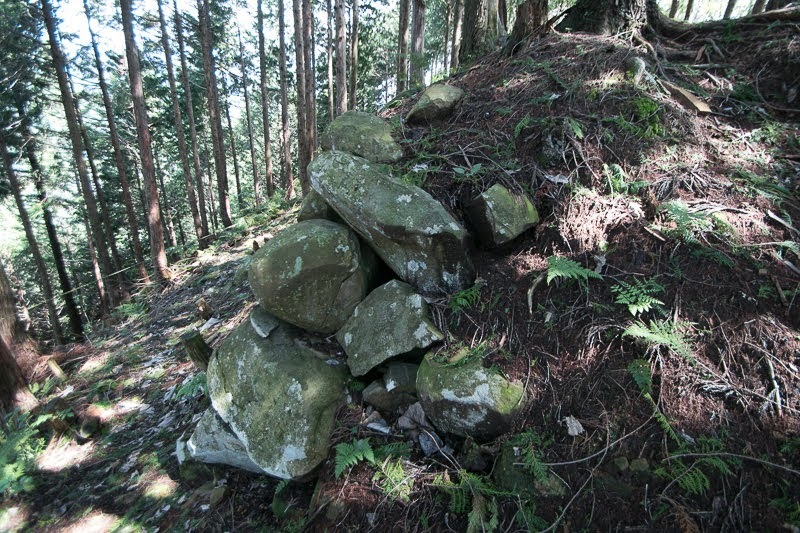 But the era of Anegakoji clan did not last long. 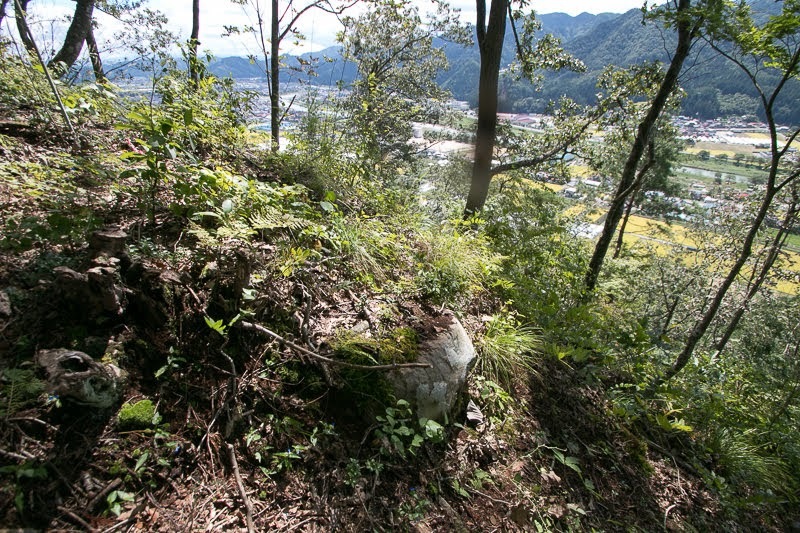 In 1585, at the conflict between central ruler Hideyoshi Toyotomi (1537-1598) and Narimasa Sassa (1536-1588), Anegakoji clan supported Narimasa thus Hideyoshi sent his general Nagachika Kanamori (1524-1608) to Hida province. 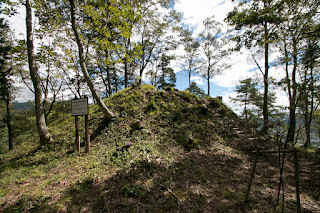 Nagachika had overwhelming army and broke Anegakoji army, thus Kojima castle fell and Kojima clan was ruined along with Anegakoji clan. After the battle Kanamari clan became the lord of Hida province, and used Kojima castle as an important base preparing for north border. 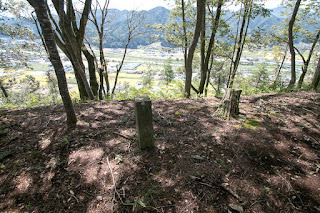 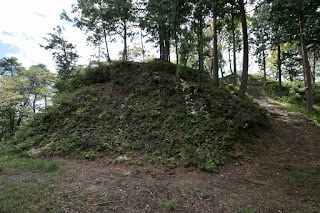 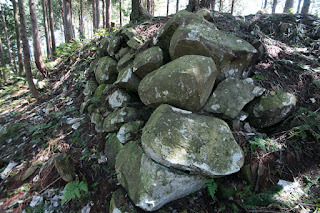 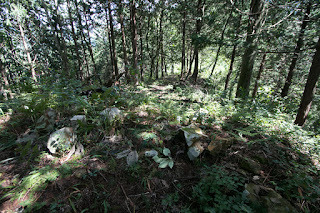 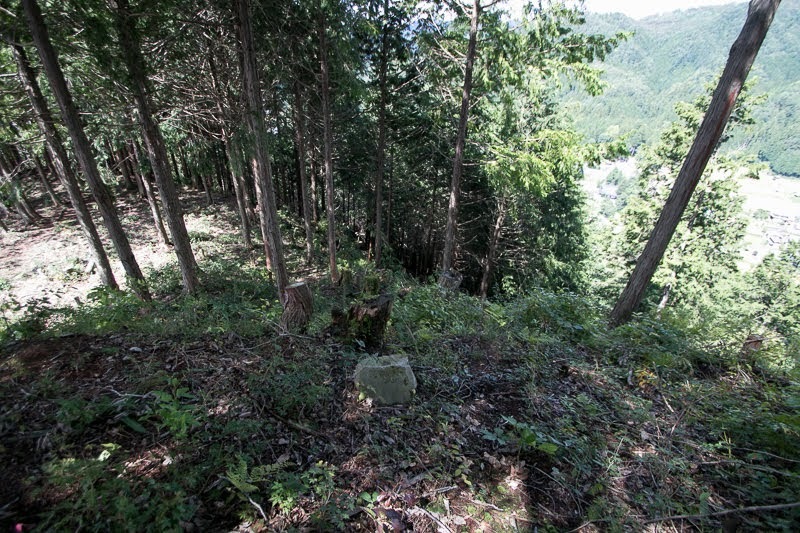 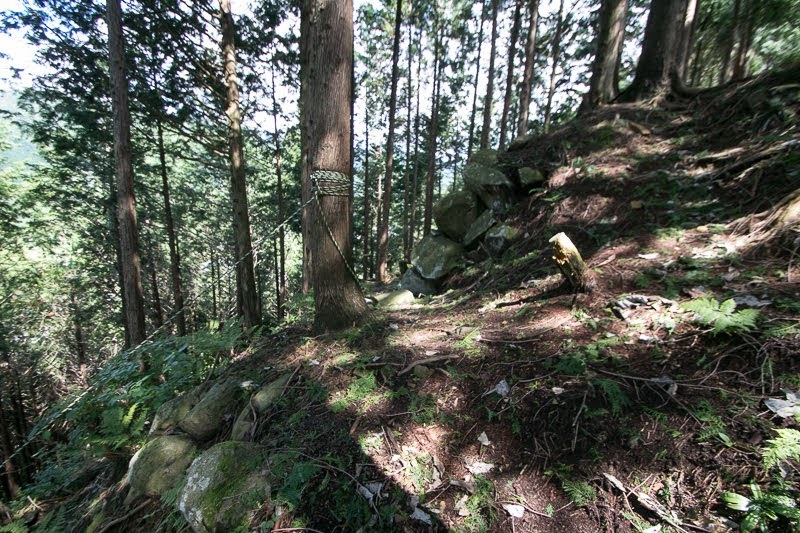 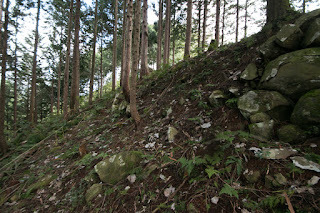 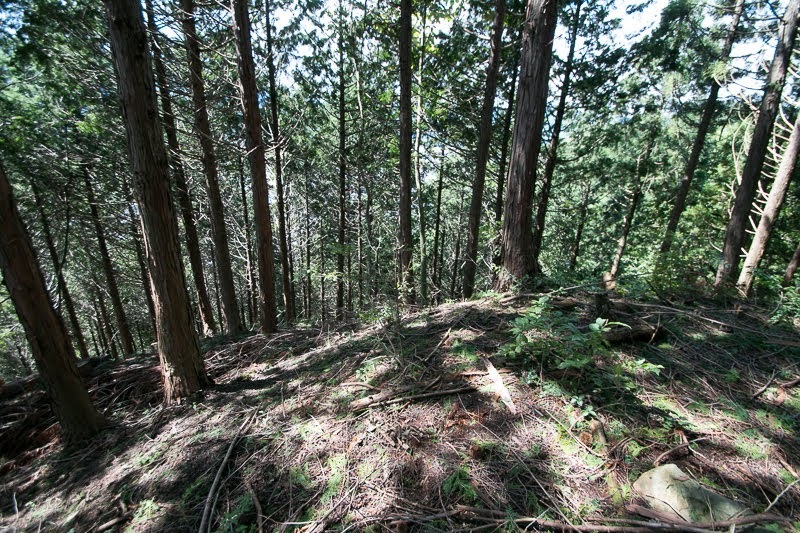 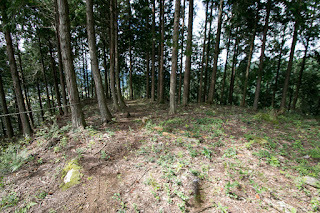 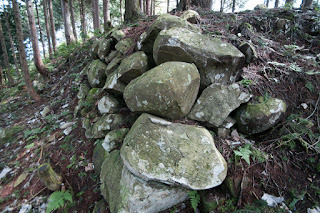 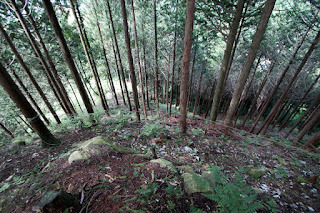 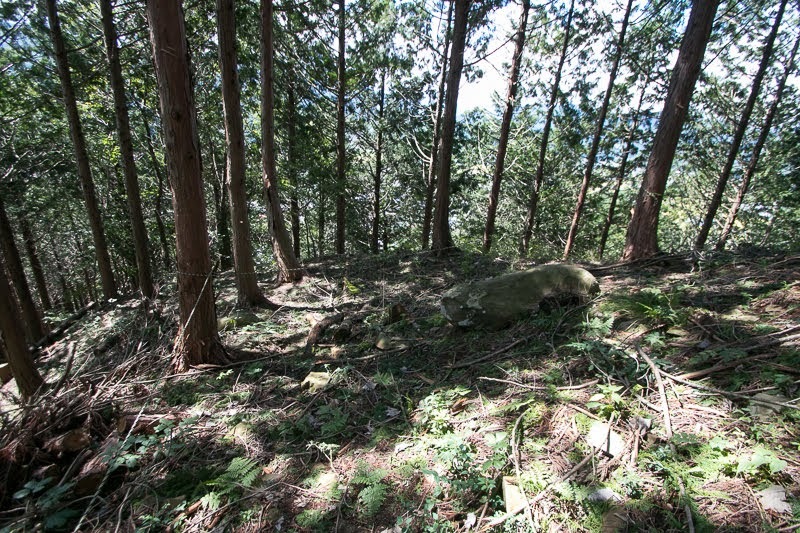 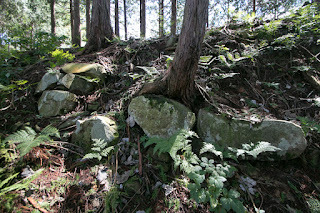 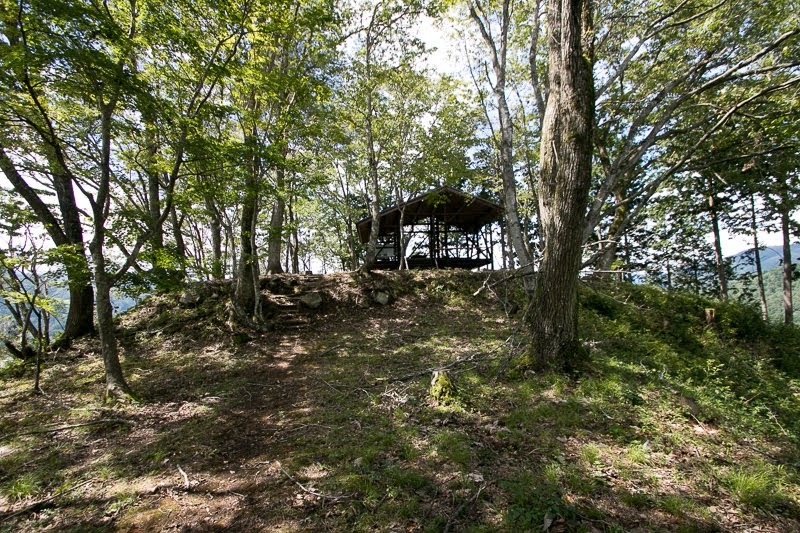 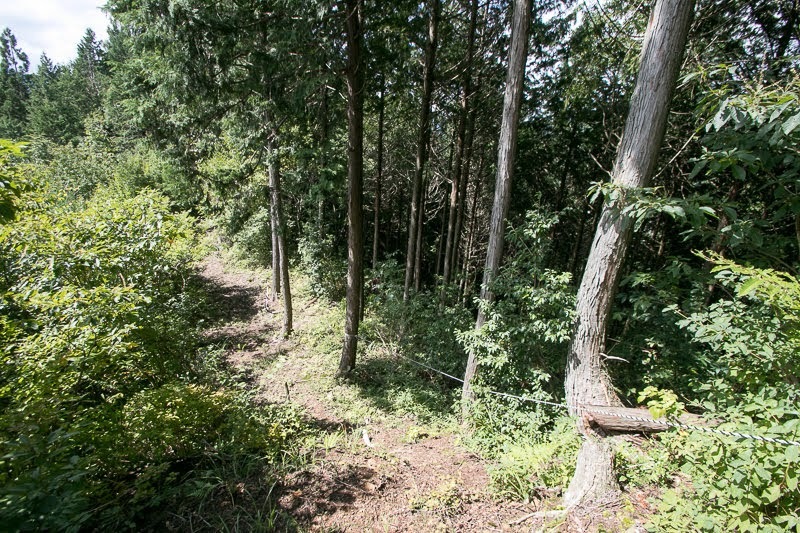 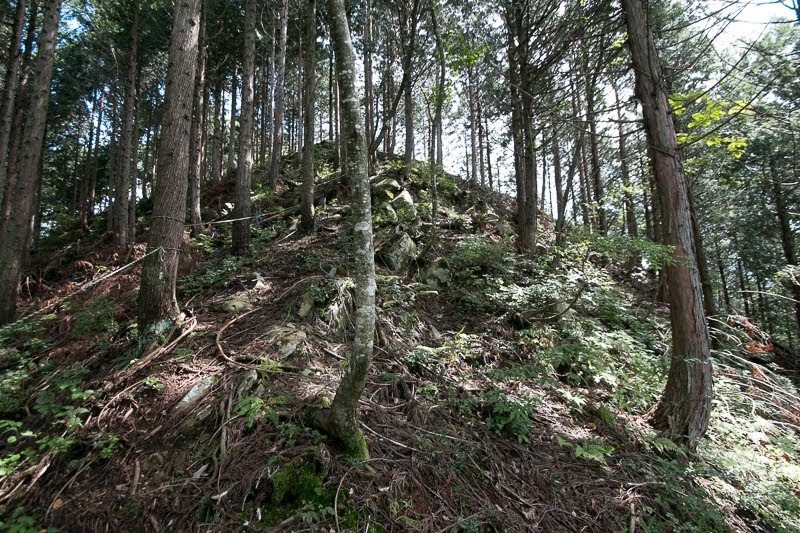 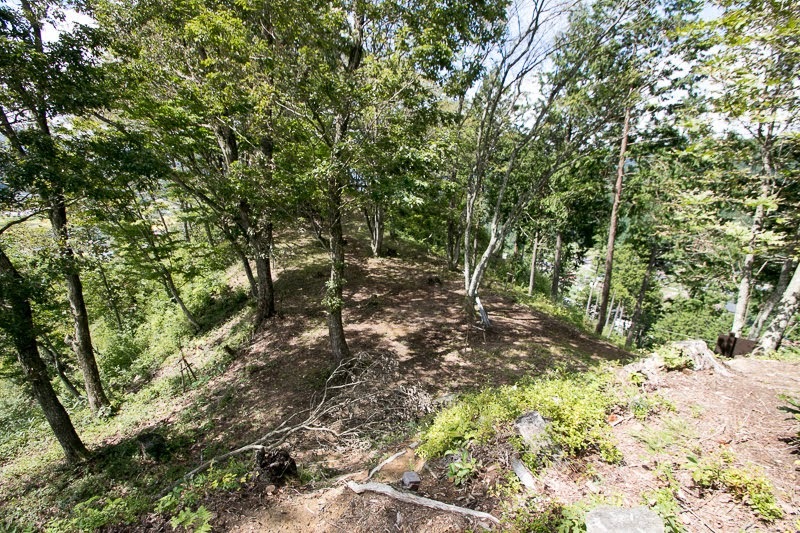 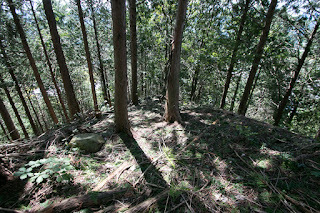 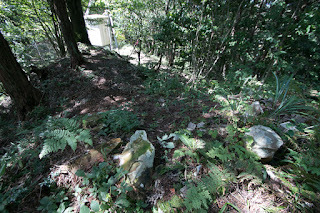 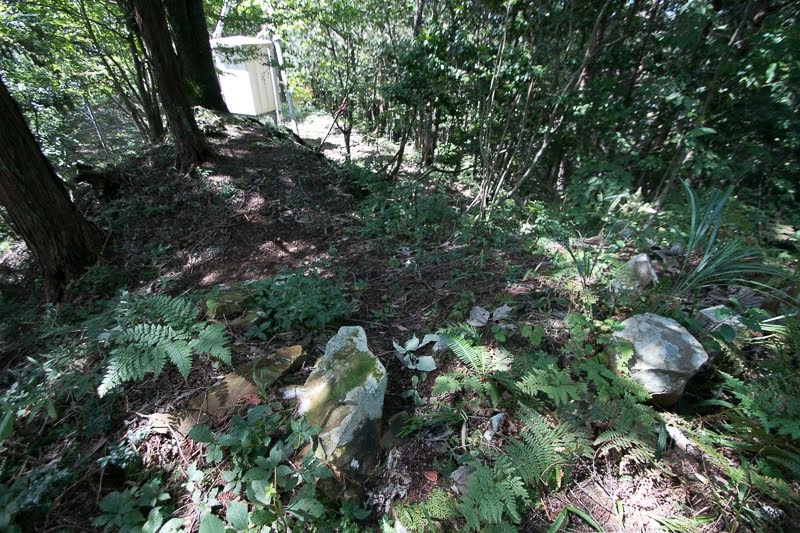 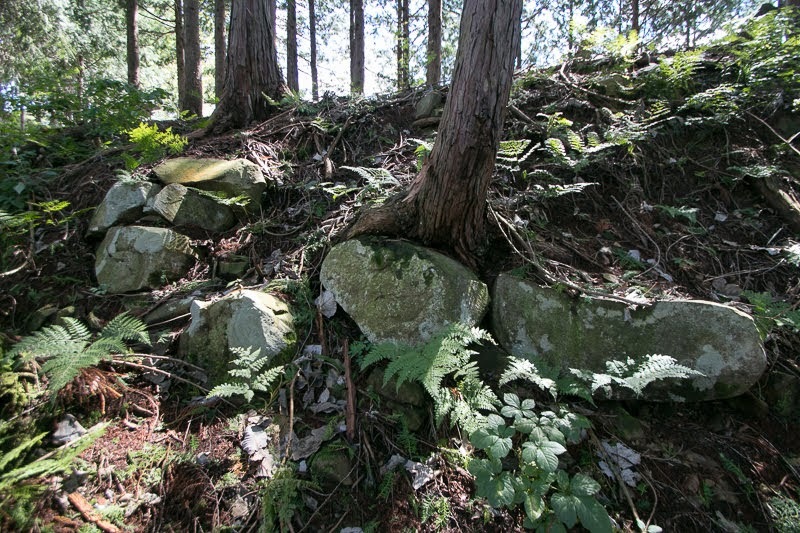 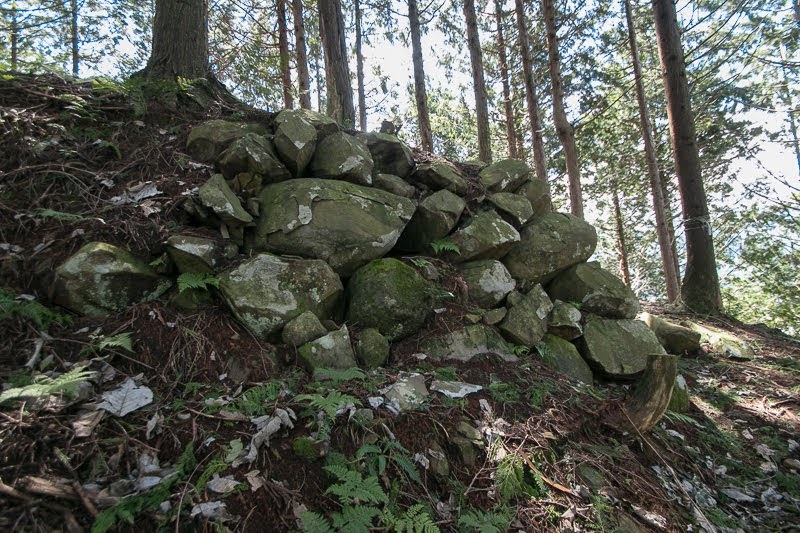 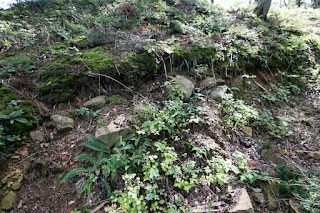 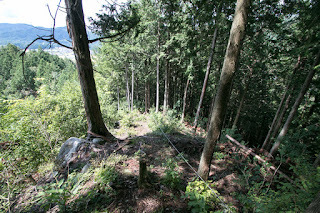 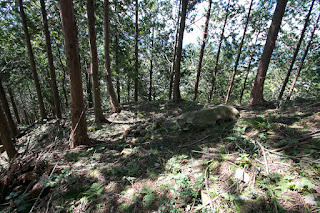 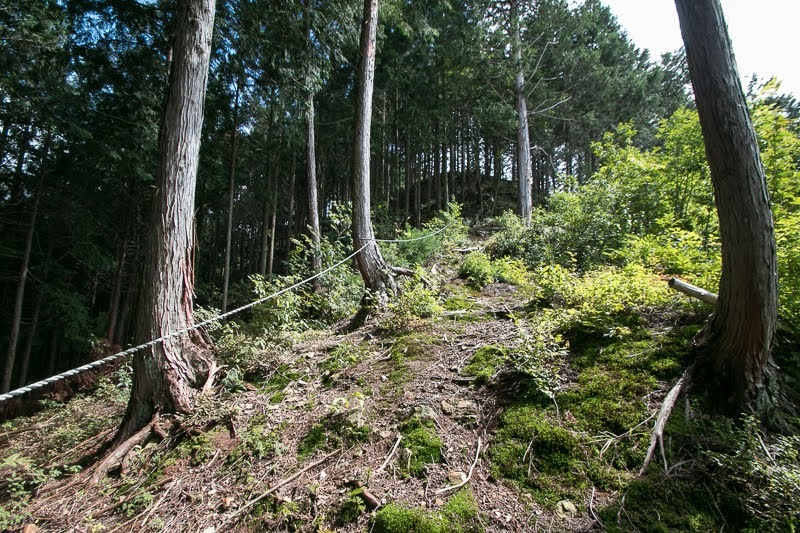 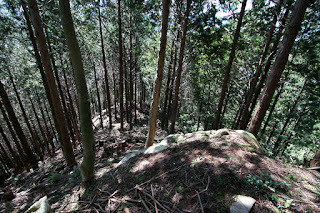 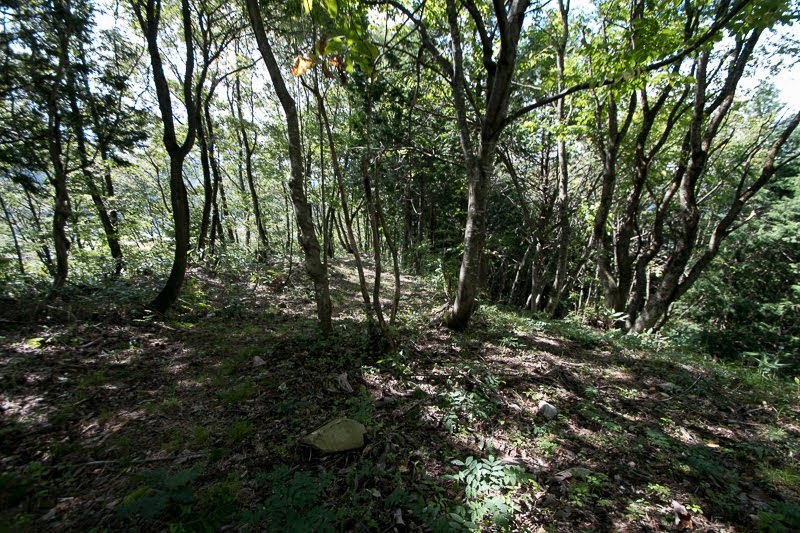 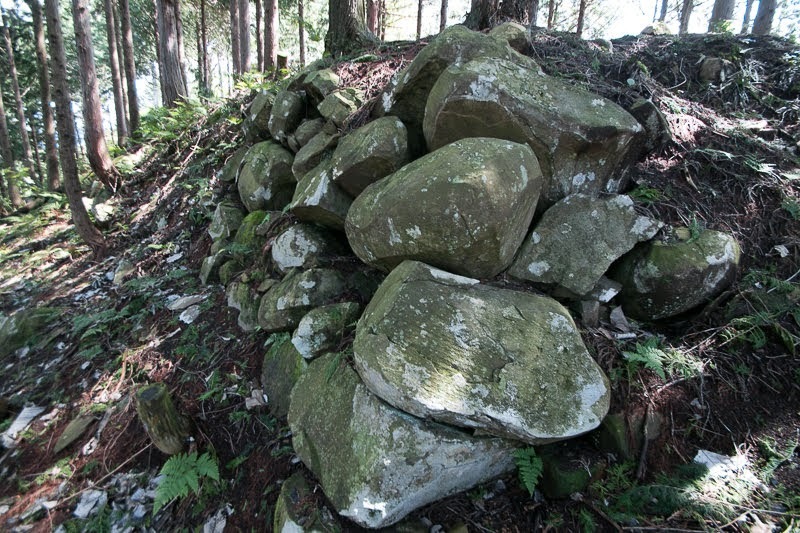 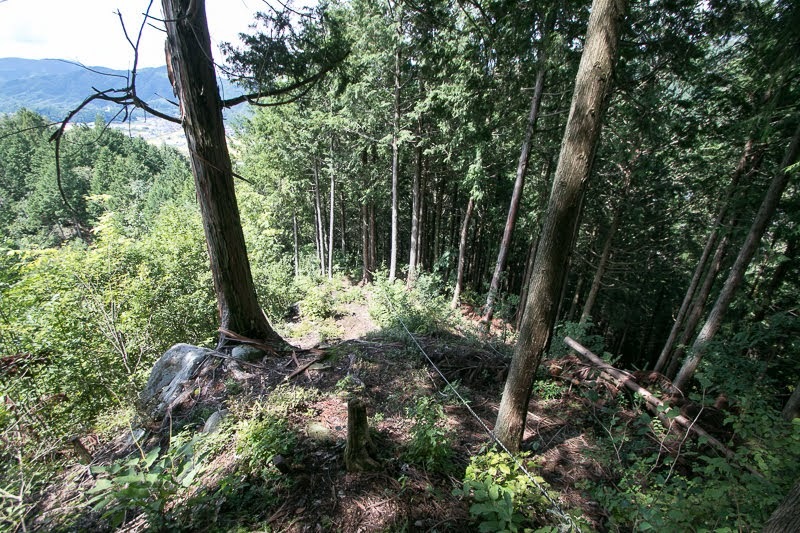 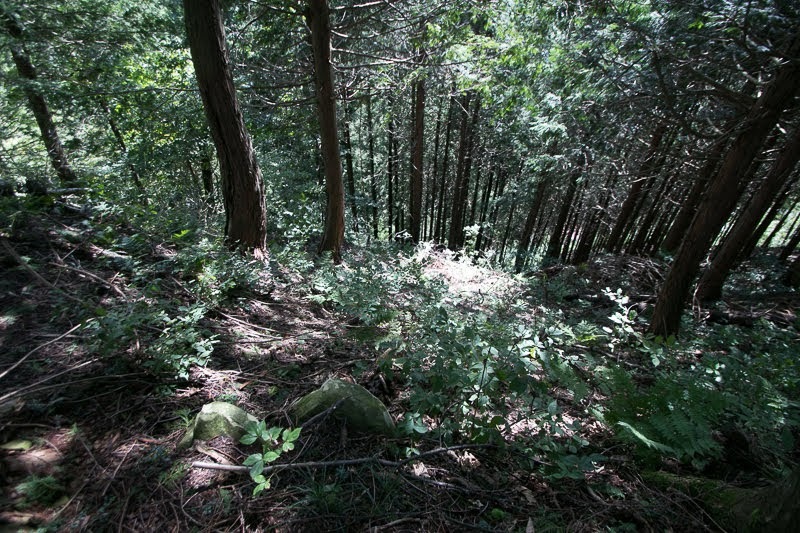 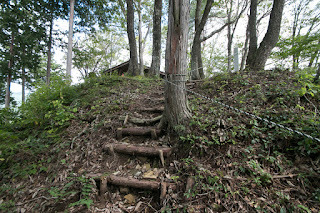 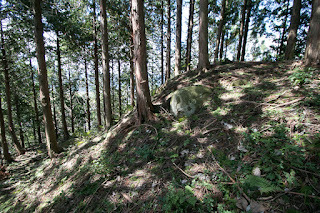 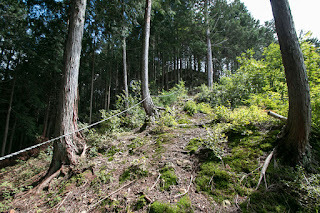 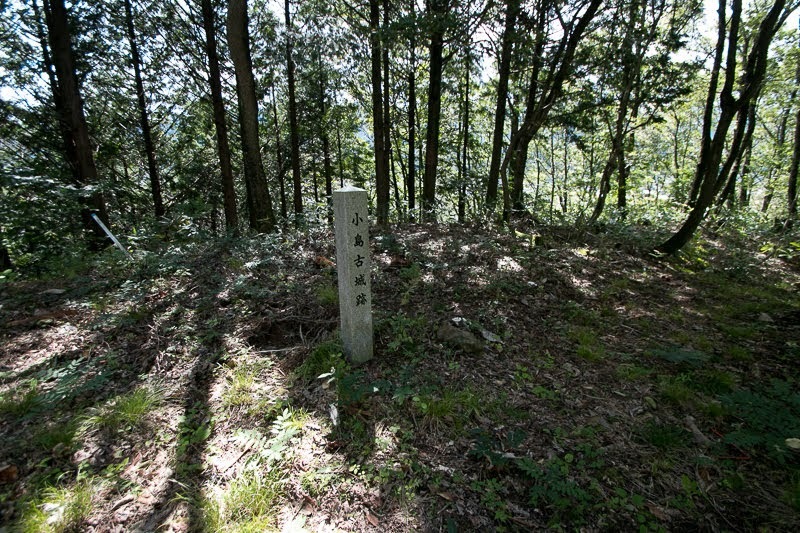 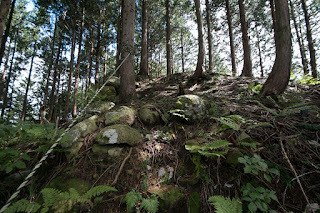 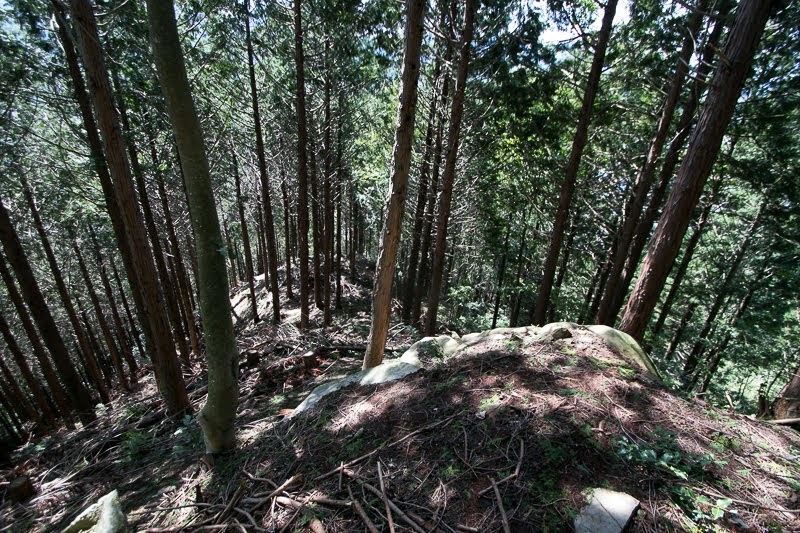 Stone walls of third area was added by Kanamori clan, to show the military authority to the area. 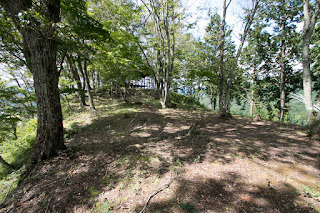 But considering inconvenience of the castle on the mountain, Kanamori clan built Masushima castle at the center of Furukawa basin in 1589, and Kojima castle might be abolished at this time. 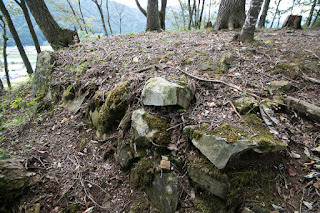 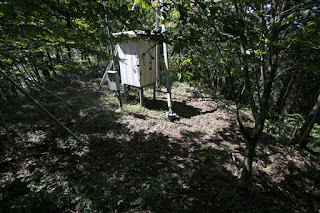 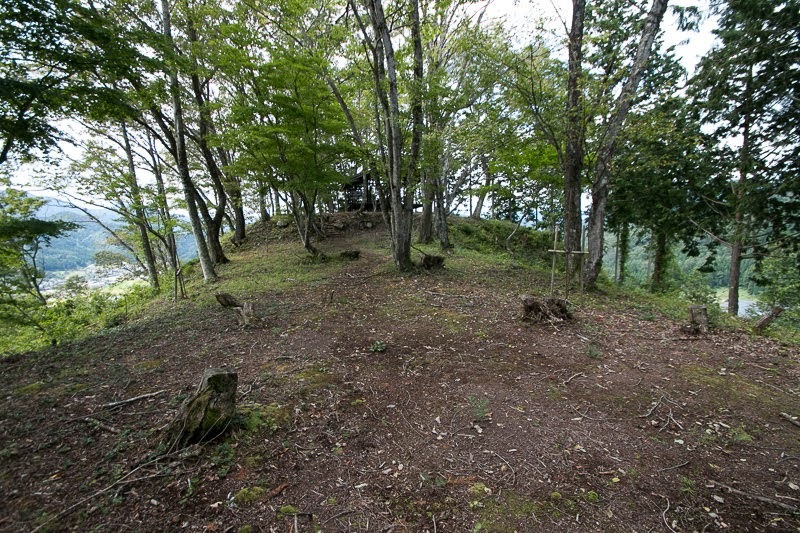 Now all building was lost but structure of the castle well remain on the mountain. 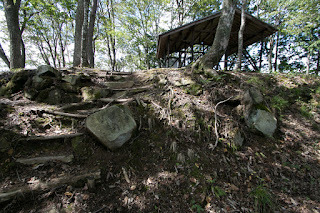 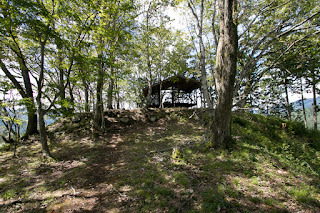 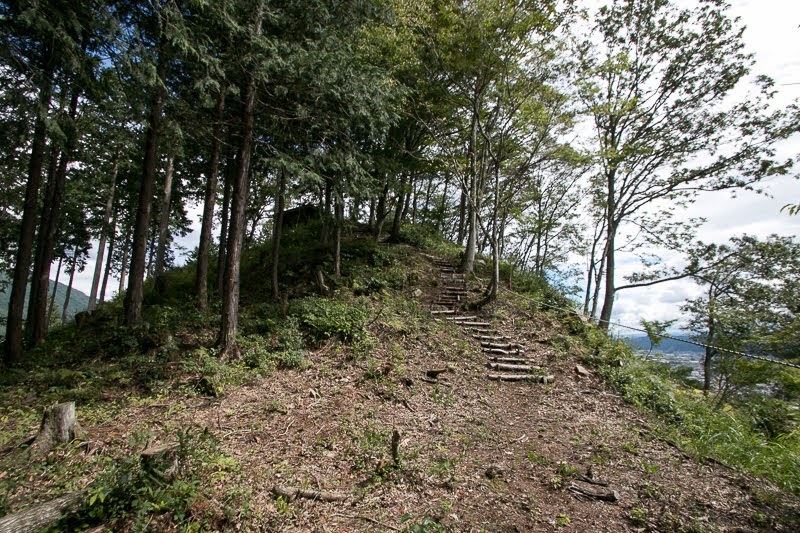 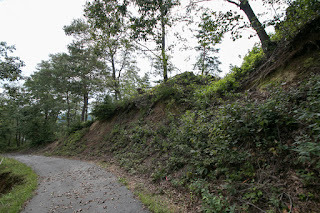 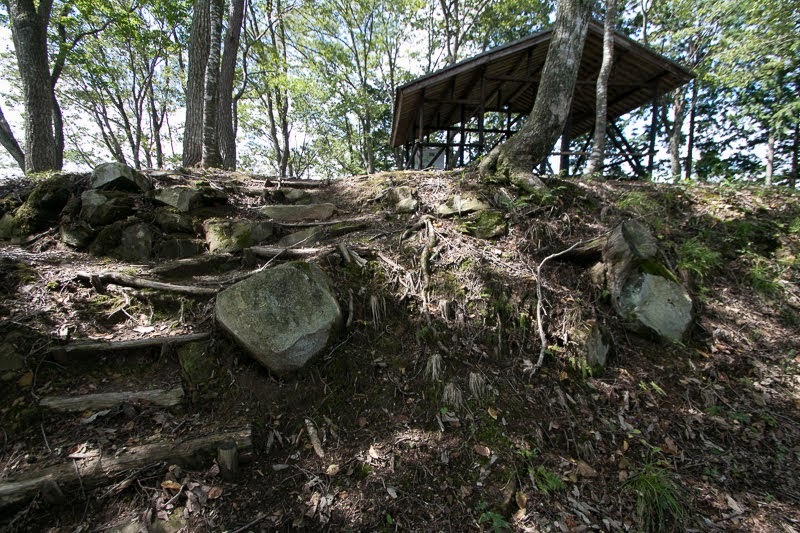 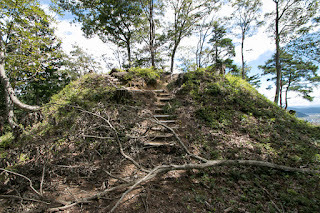 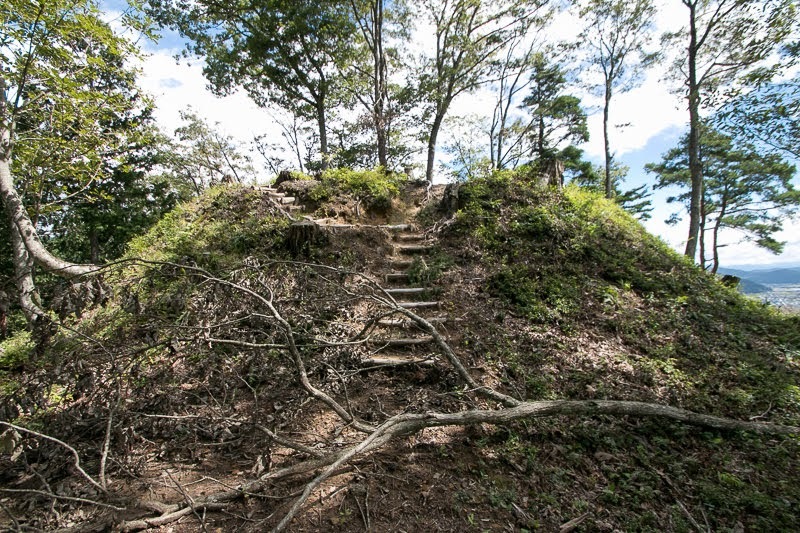 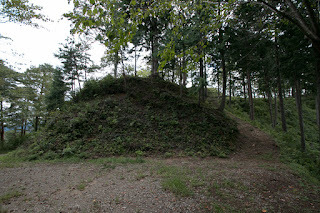 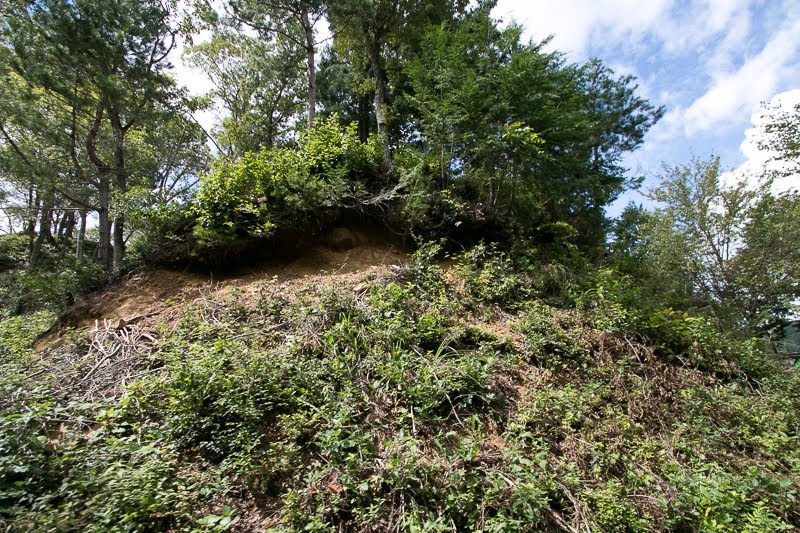 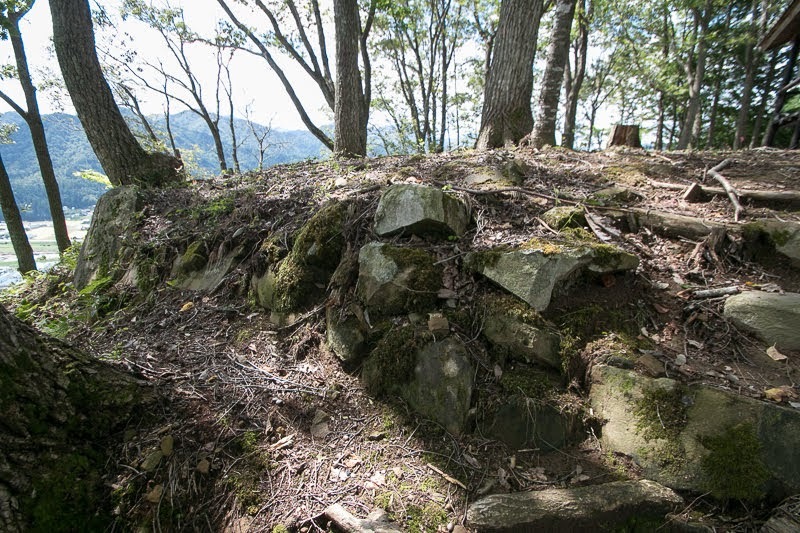 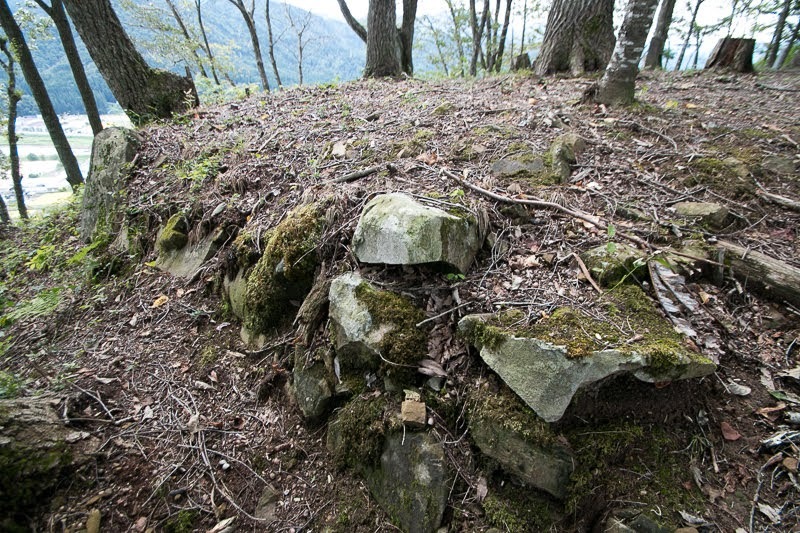 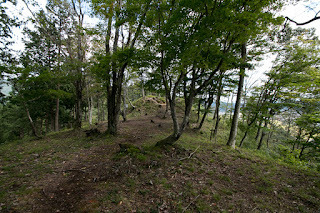 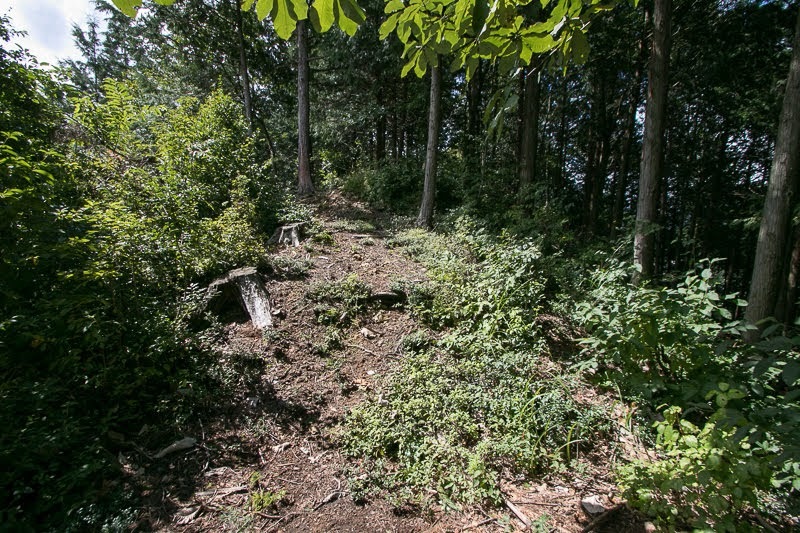 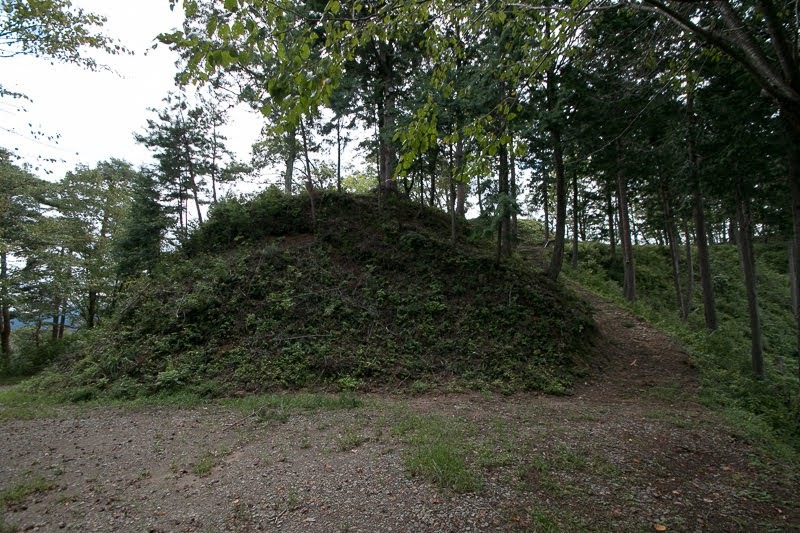 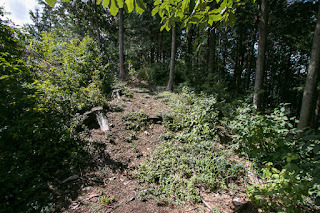 Ruin of stone wall remains at the entrance of third area is a genuine one built by large stones, and this shows importance of Kojima castle for Kanamori clan. At the hillside the atmosphere of old town with temples or shrines still remains, and along with the memorial of Japanese poems composed by Anegakoji clan, this shows the former existence of descendant of central noble at this place. 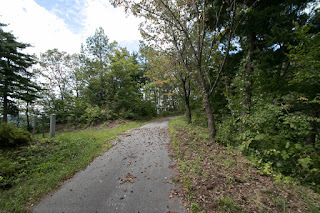 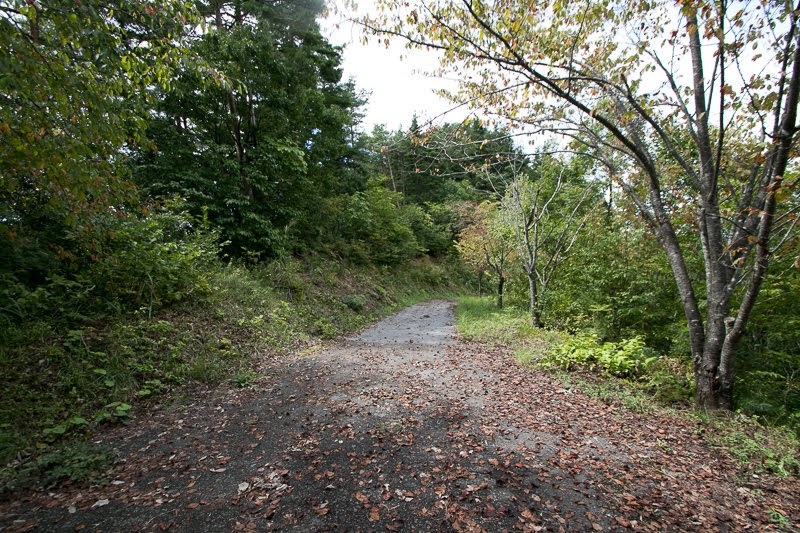 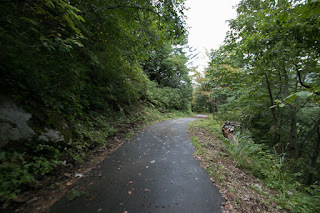 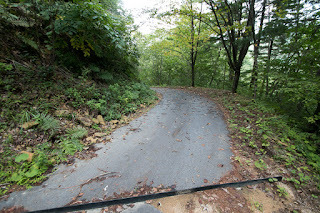 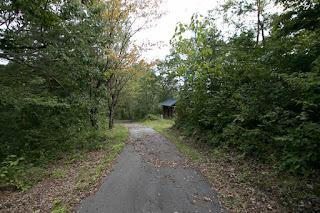 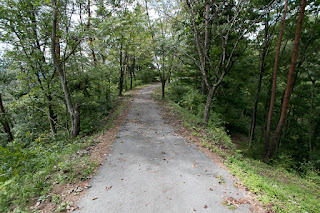 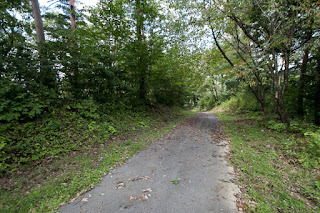 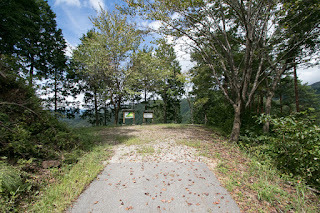 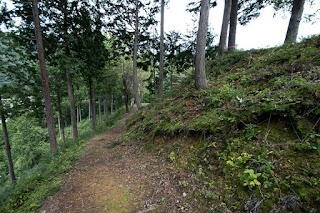 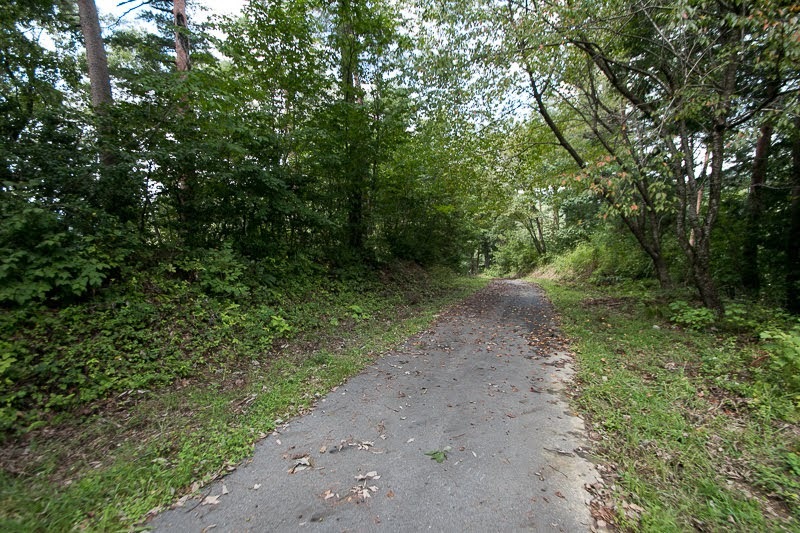 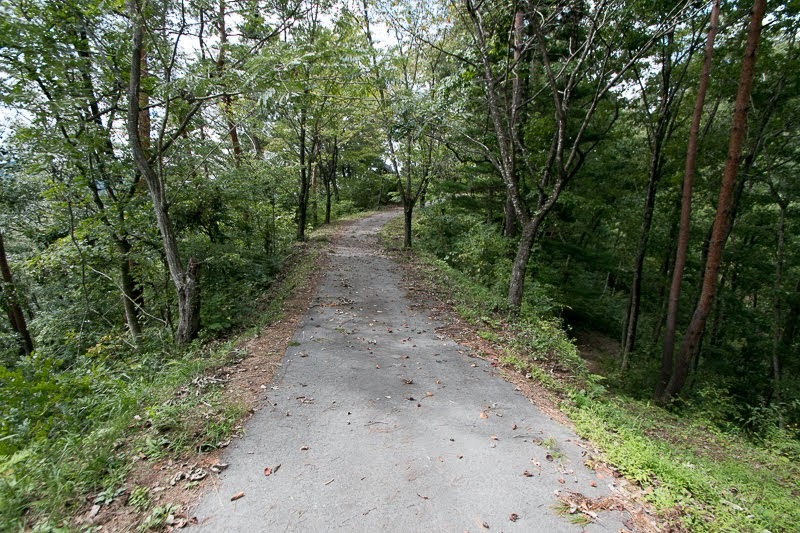 30 minutes walk from JR Central Takayama-Honsen line Sugisaki station. 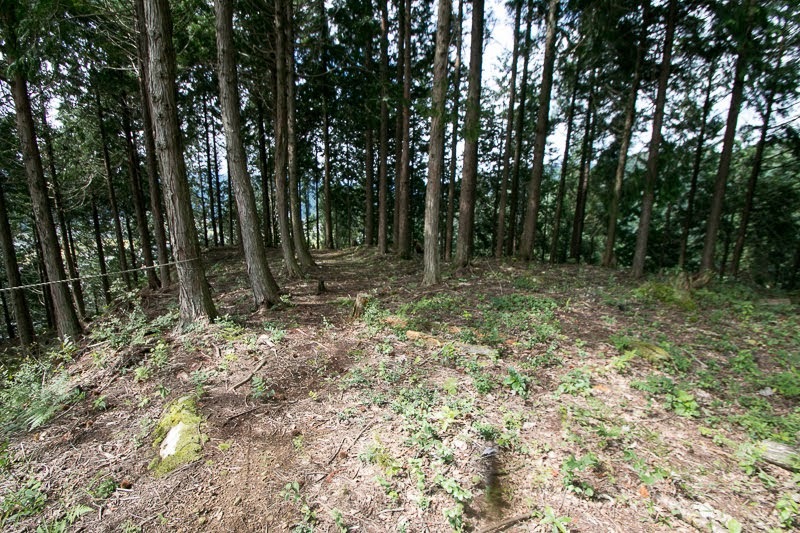 30 minutes drive from Takayama-Kiyomi Road Takayama interchange.